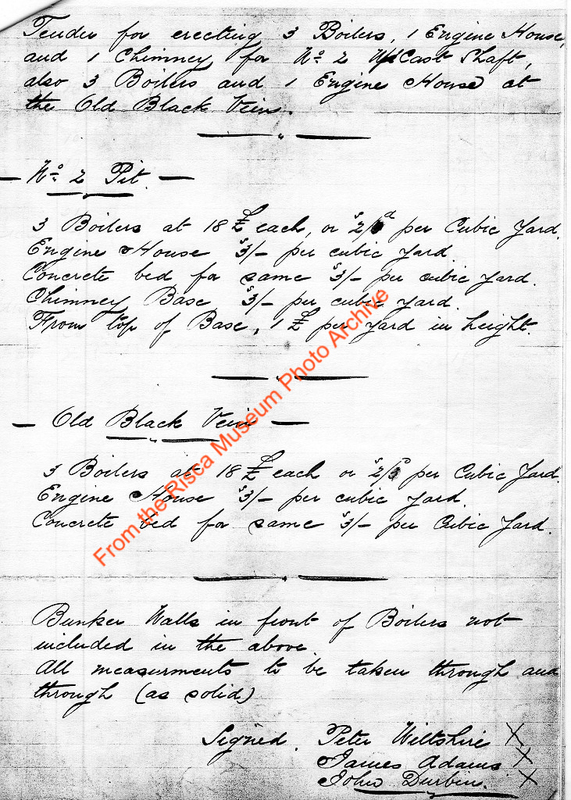 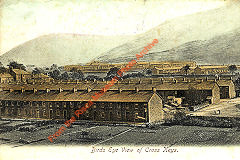 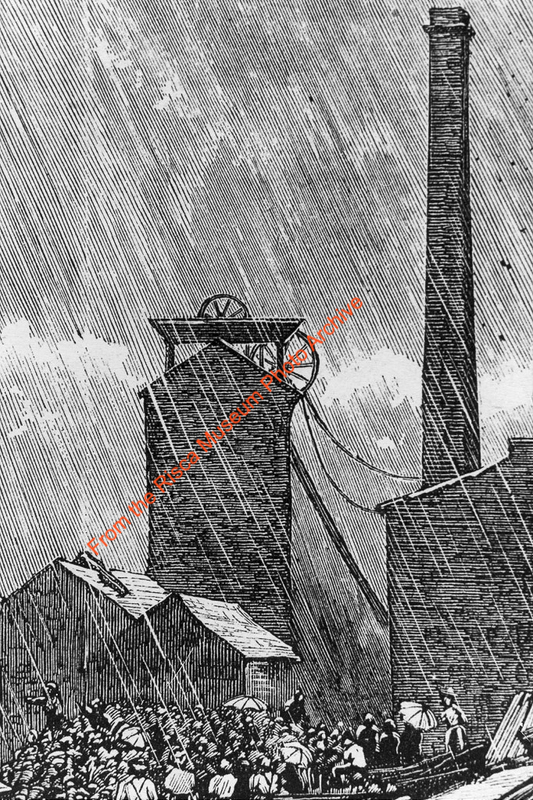 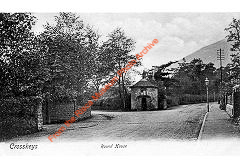 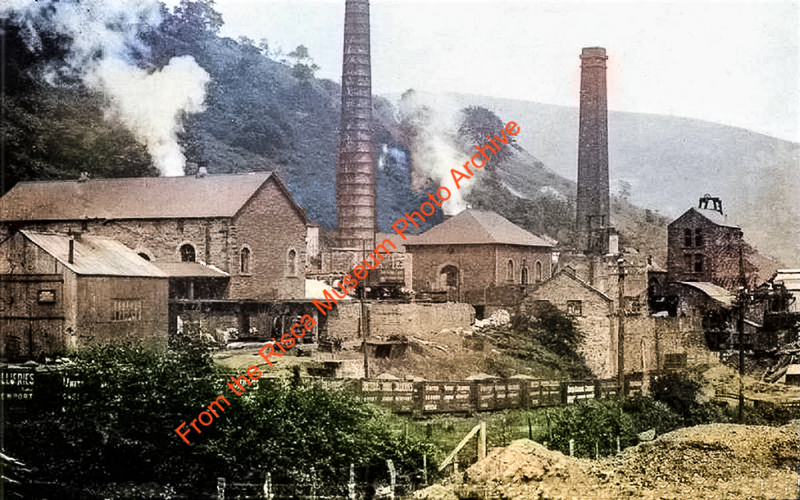 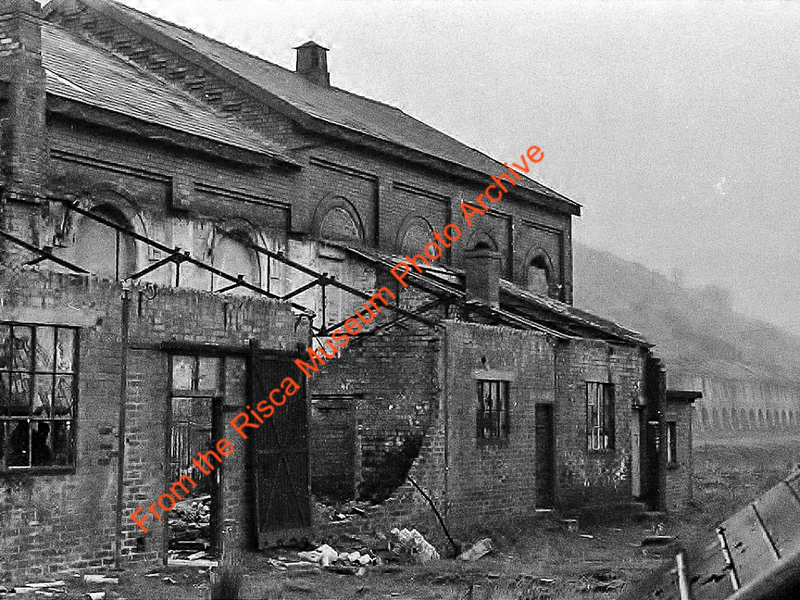 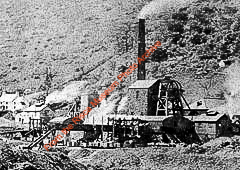 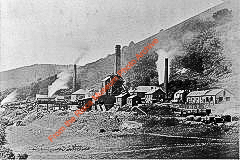 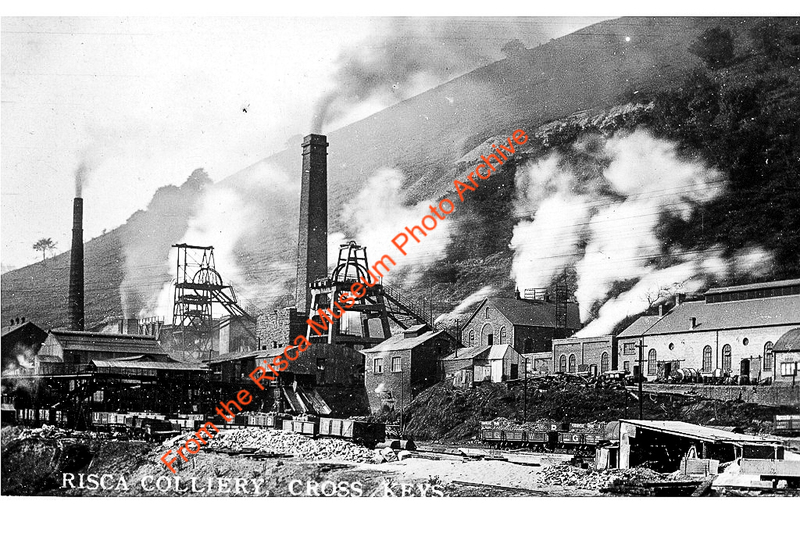 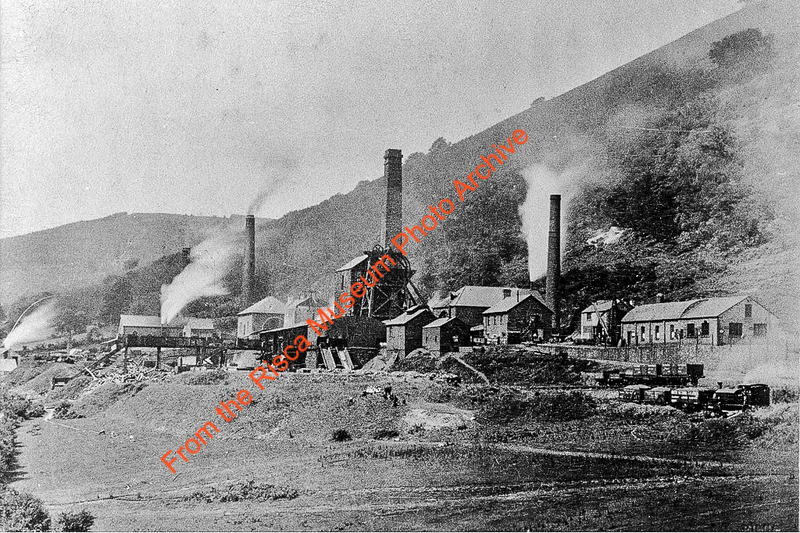 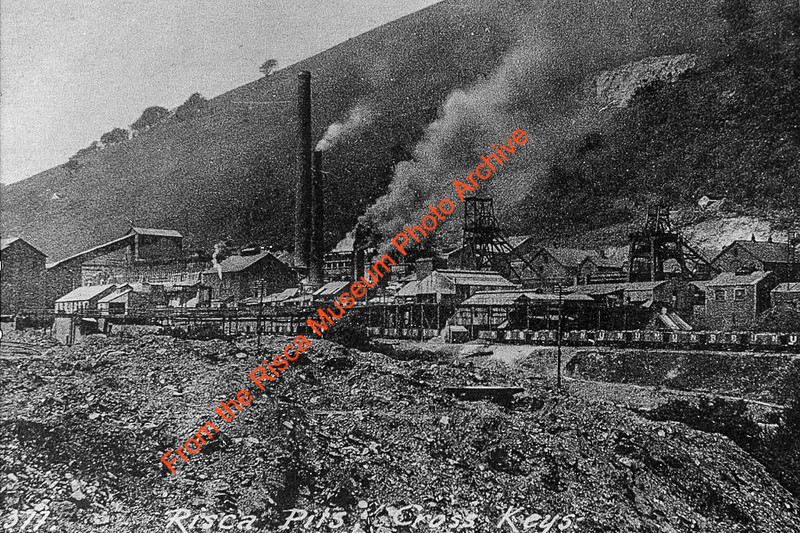 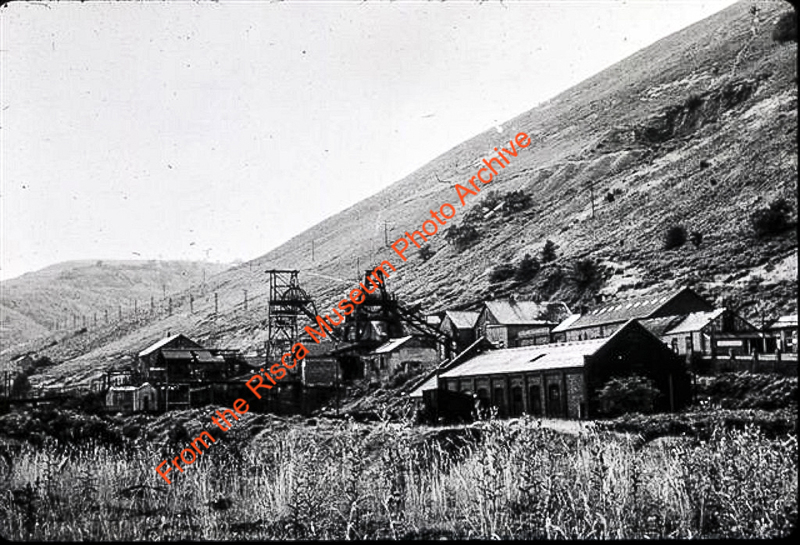 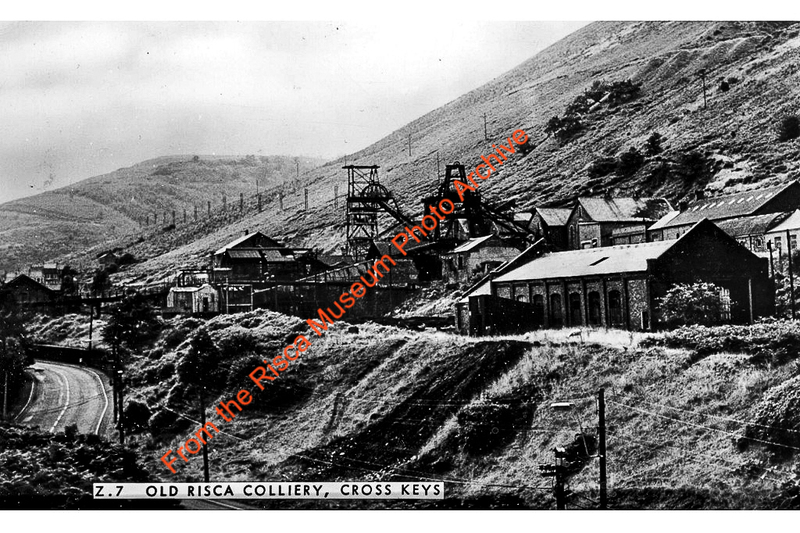 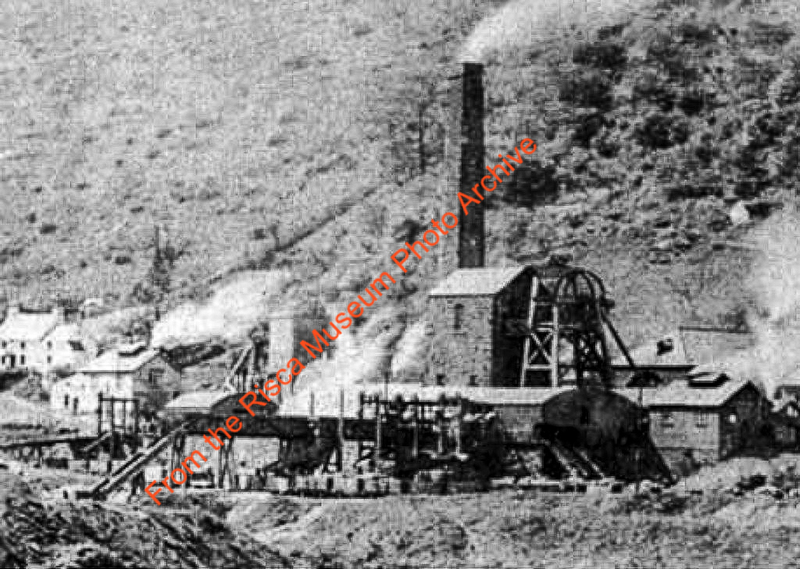 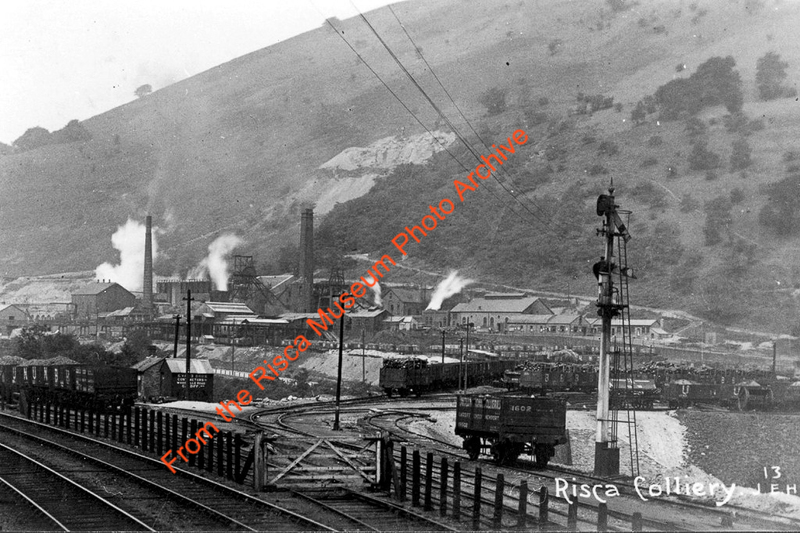 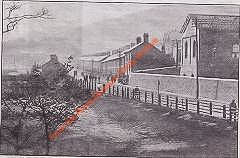 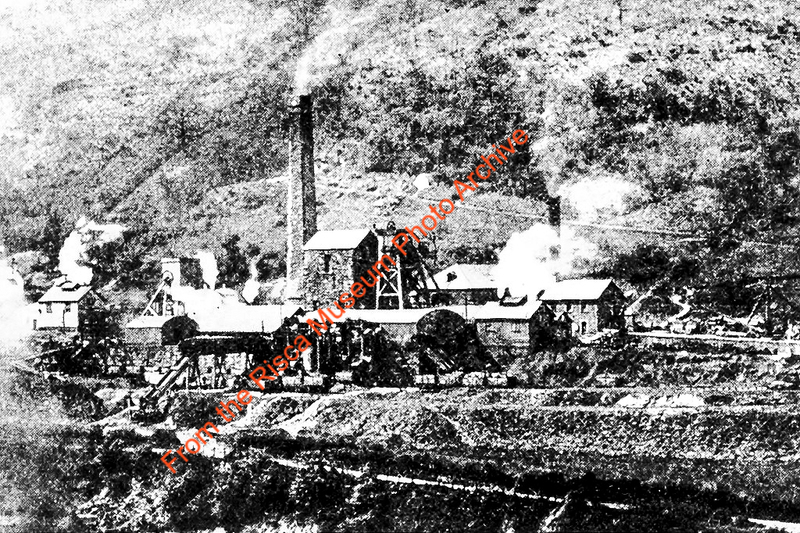 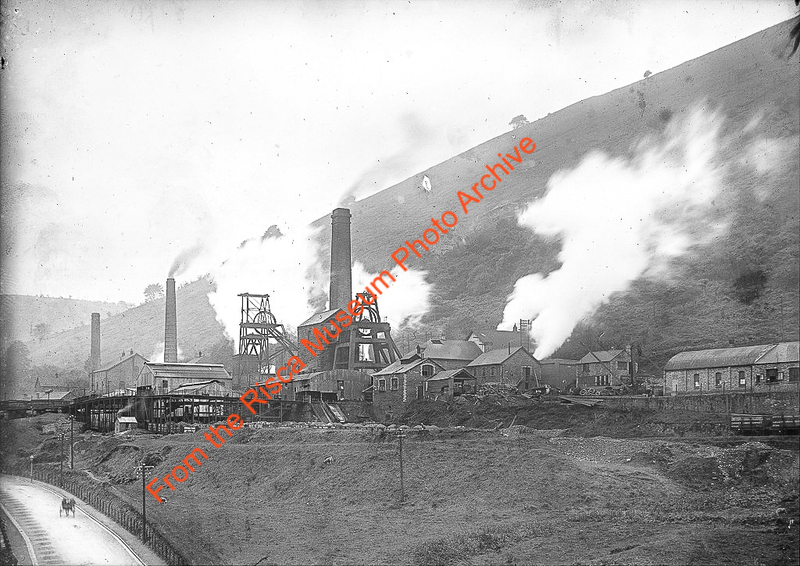 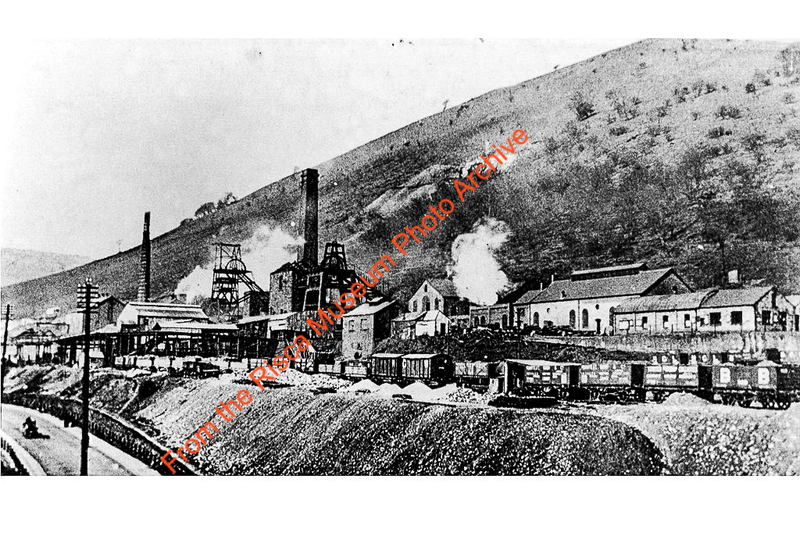 The sinking of the New Pits, subsequently known as the North Risca Black Vein Colliery, began in 1875 by the 'London and South Wales Colliery Co Ltd' and the first coal was wound in 1878 from the original Black Vein seams. 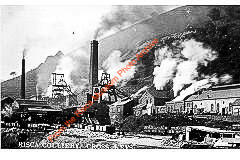 This colliery was just as dangerous as the original Blackvein Colliery at Waunfawr and in 1880 another 120 colliers were killed in a gas explosion. 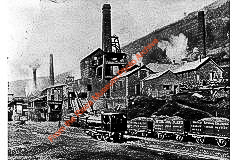 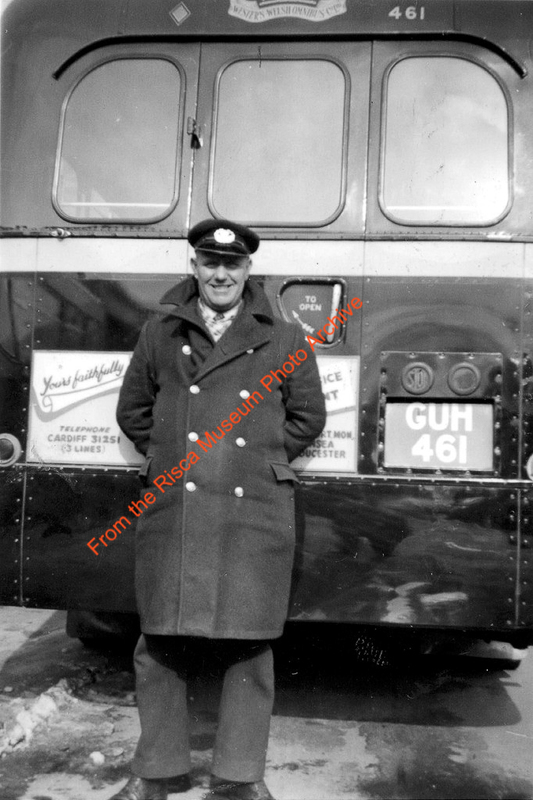 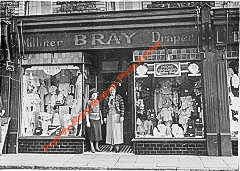 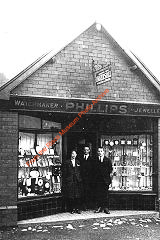 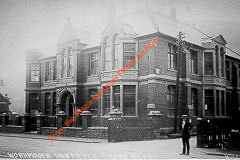 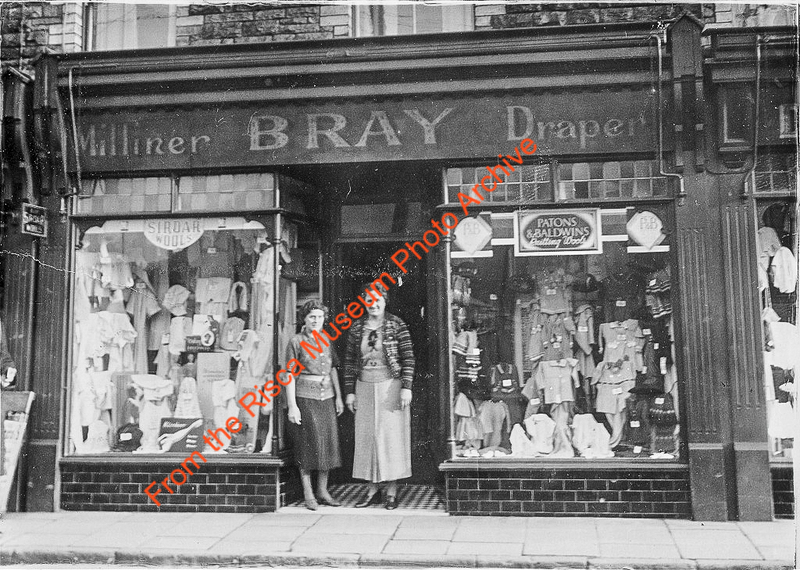 The company became part of the 'United National Collieries Ltd' in 1892, amalgamating with the 'Ocean Coal Co Ltd' in 1944 before nationalisation in 1947. 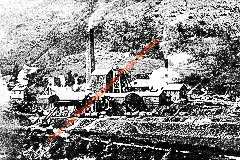 Both winders were originally steam powered. The upcast shaft was converted to run on compressed air, while the downcast was electrified.The colliery closed in 1967 and the site is now the North Blackvein Industrial Estate where a few of the colliery buildings remain. 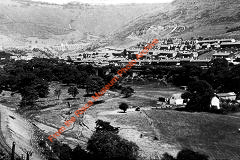 There are also scant remains of tramway inclines to the quarries above the site. 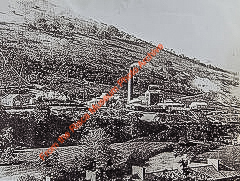 The most obvious memorial to the colliery are the tips on top of Machen Mountain. 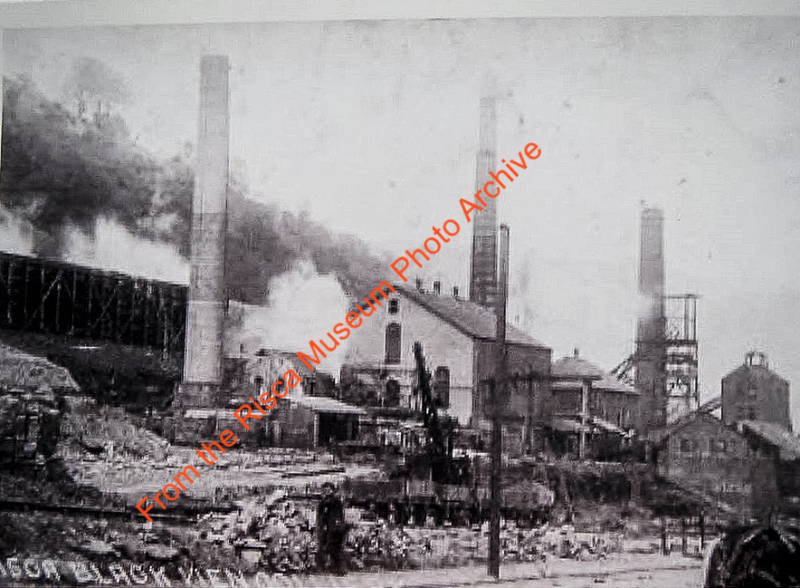 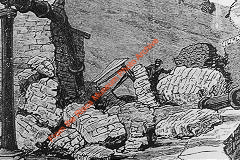 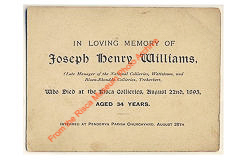 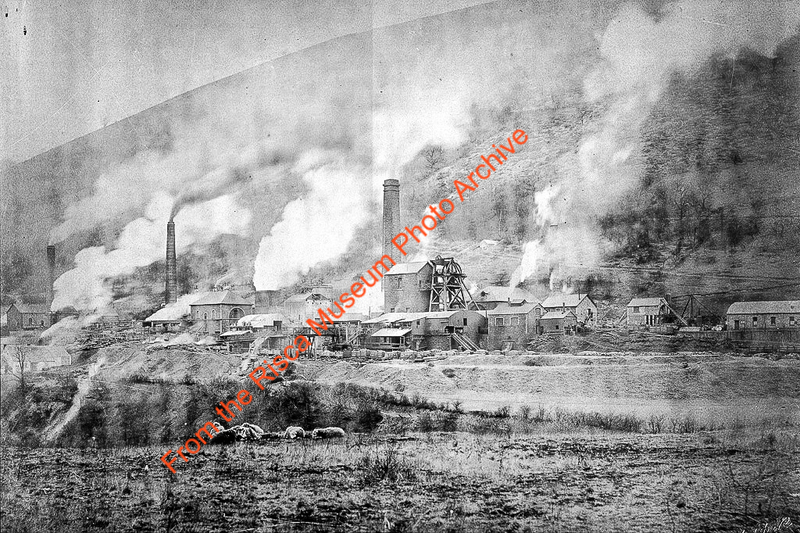 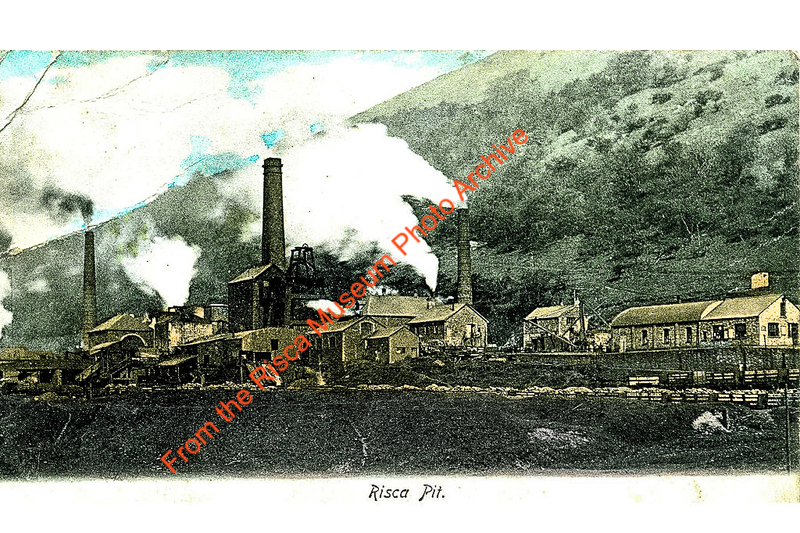 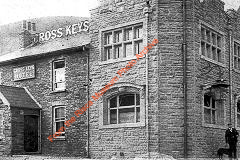 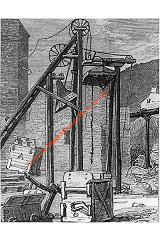 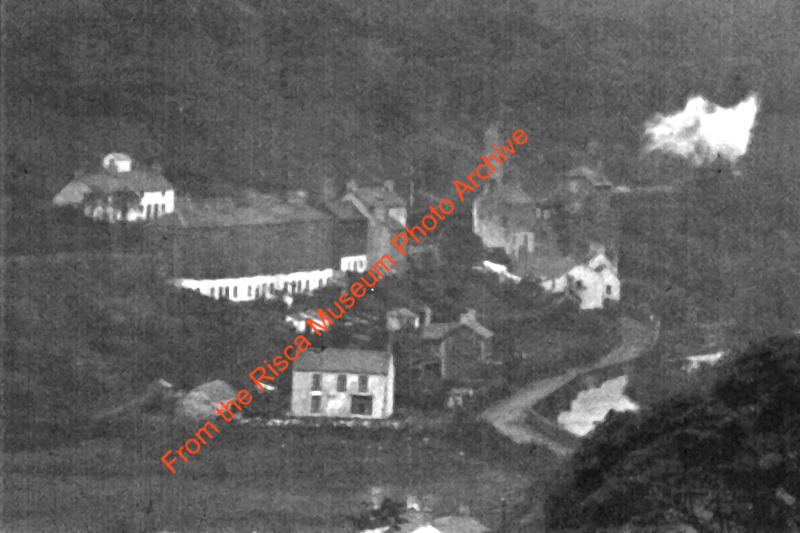 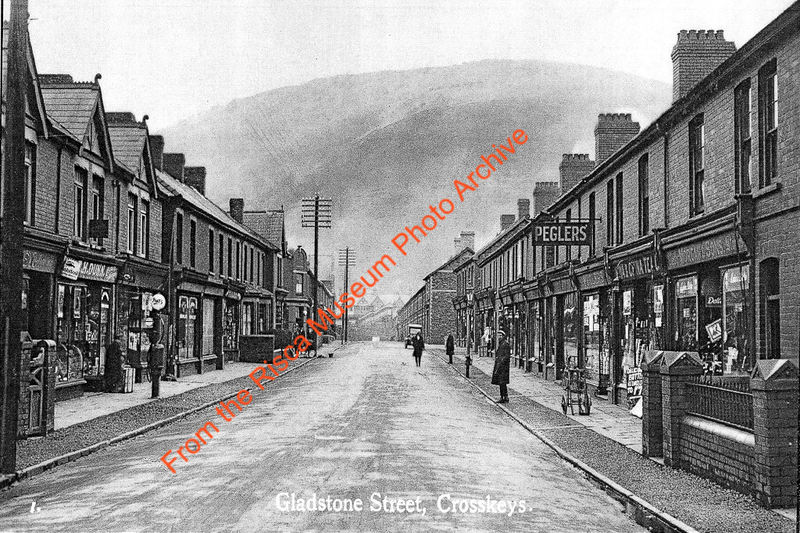 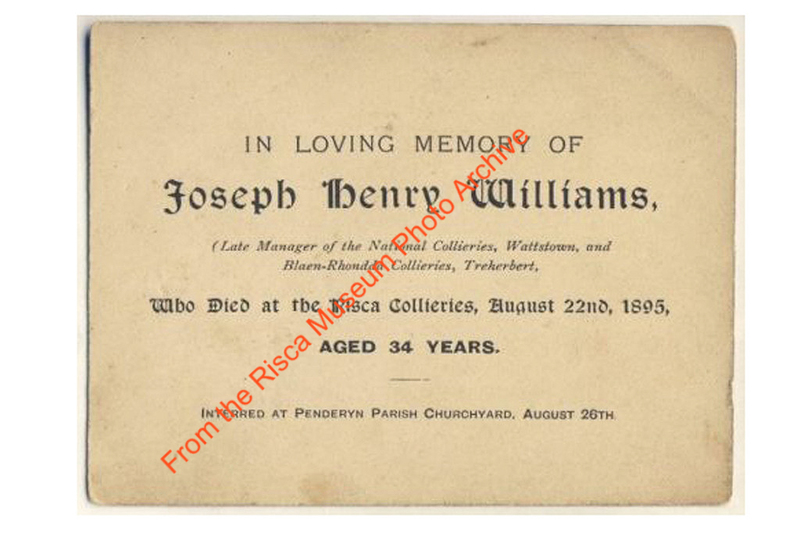 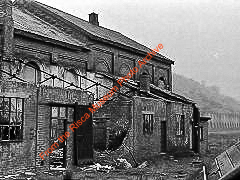 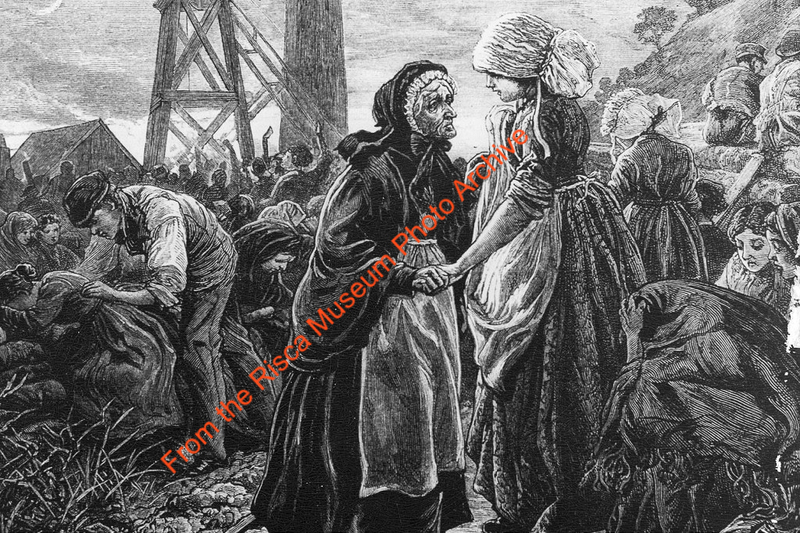 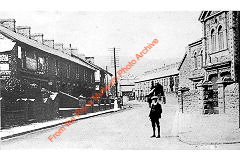 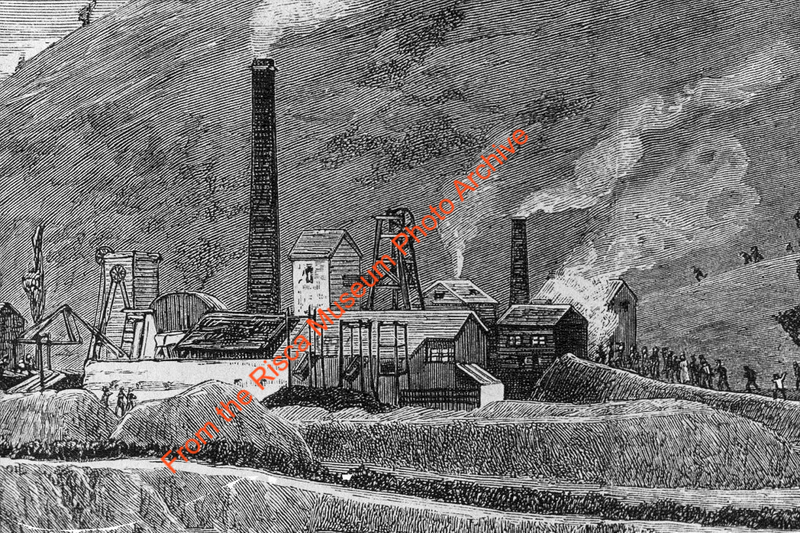 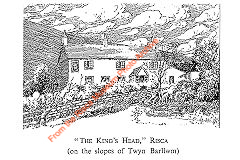 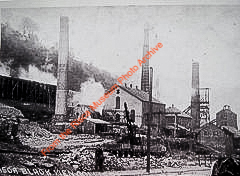 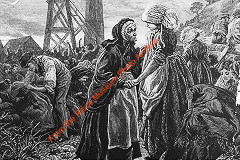 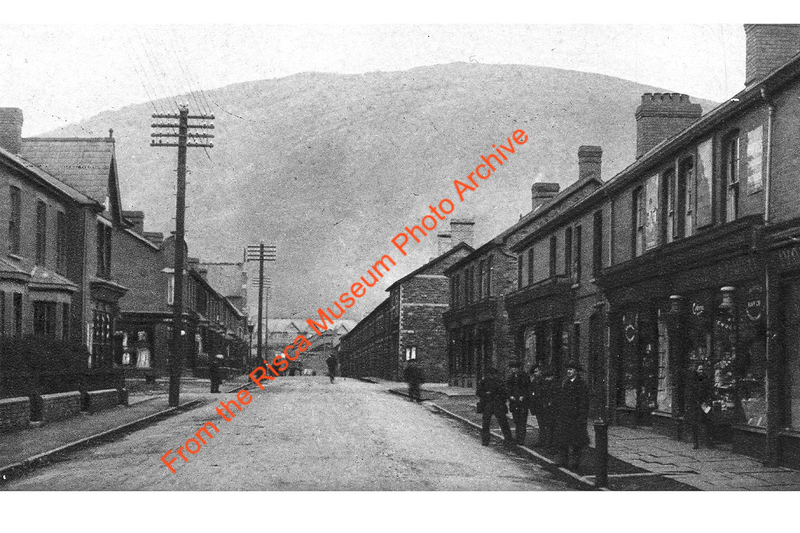 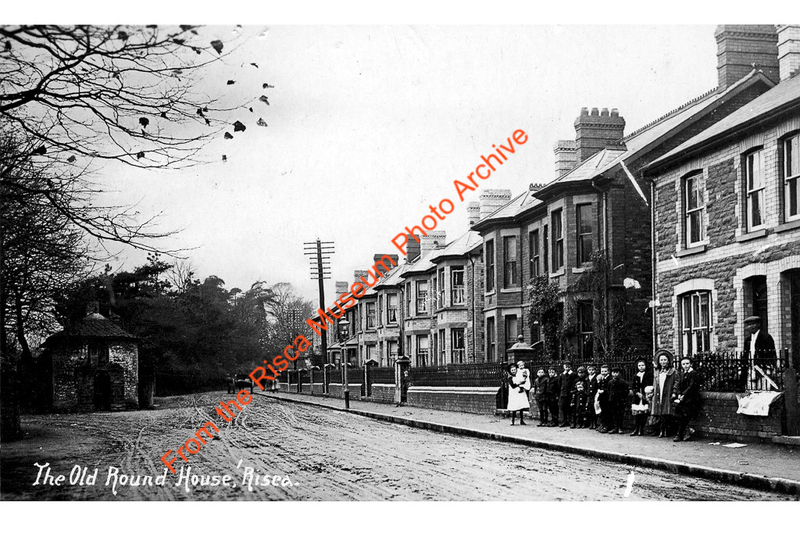 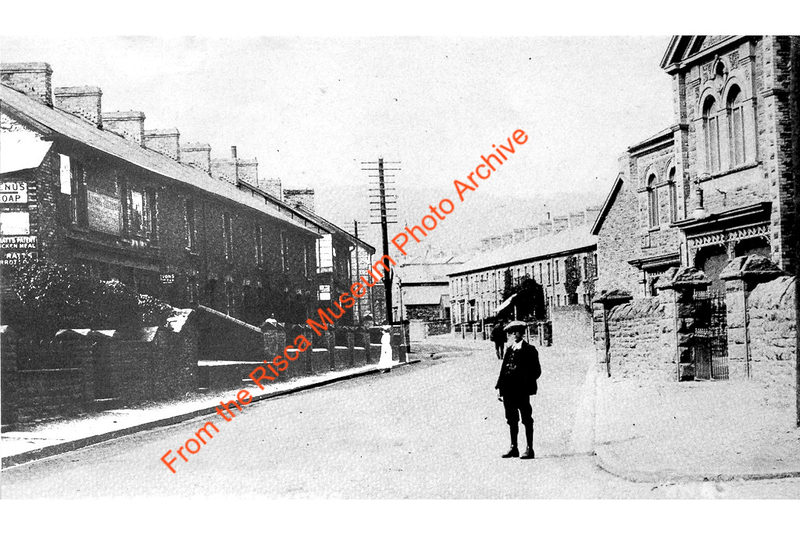 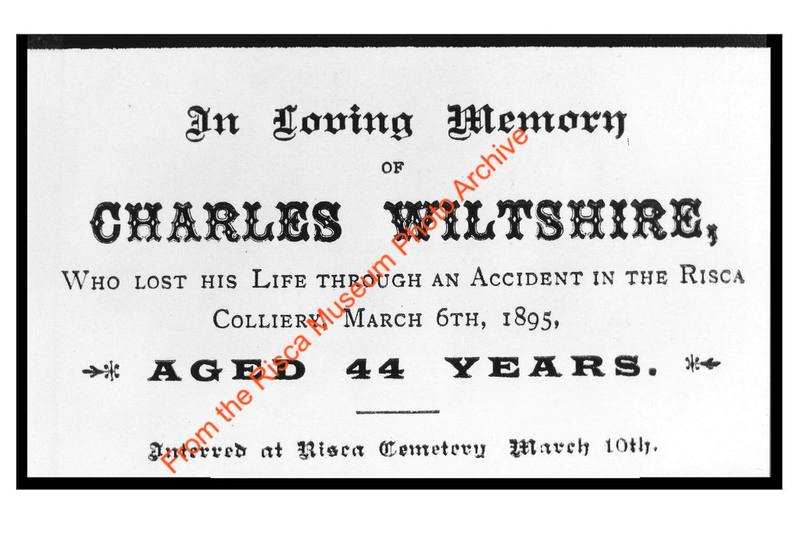 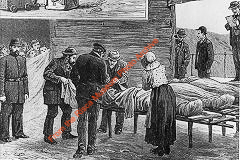 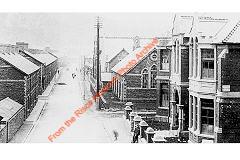 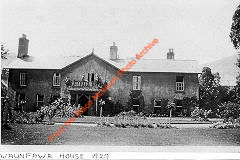 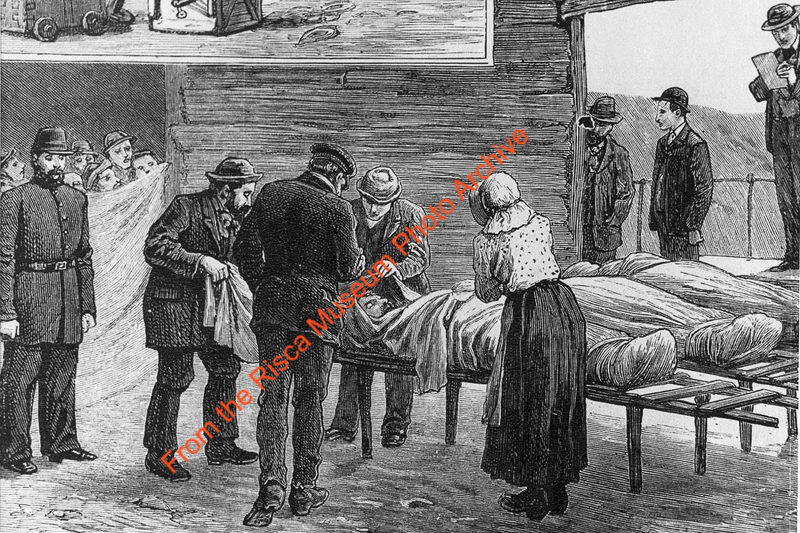 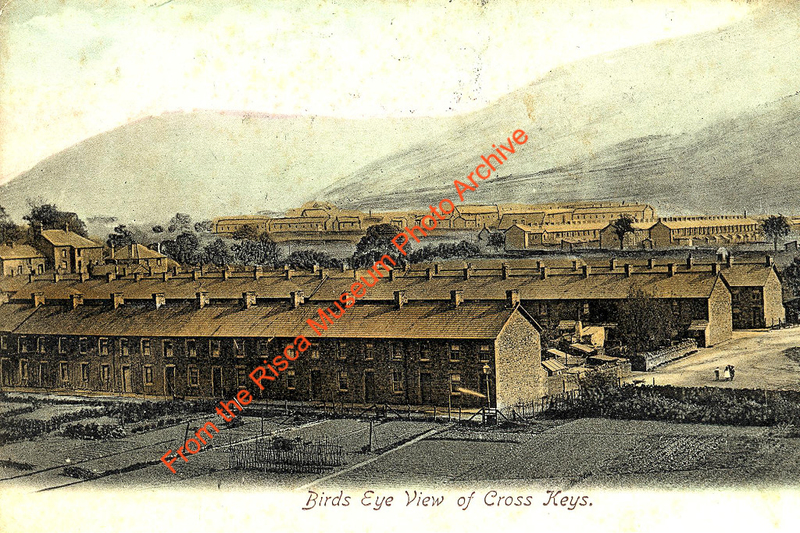 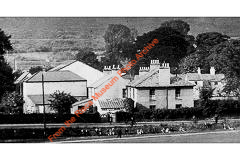 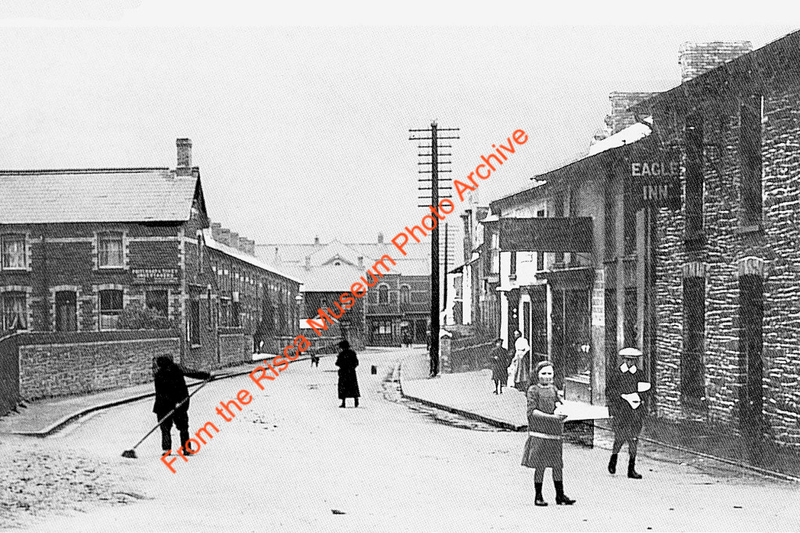 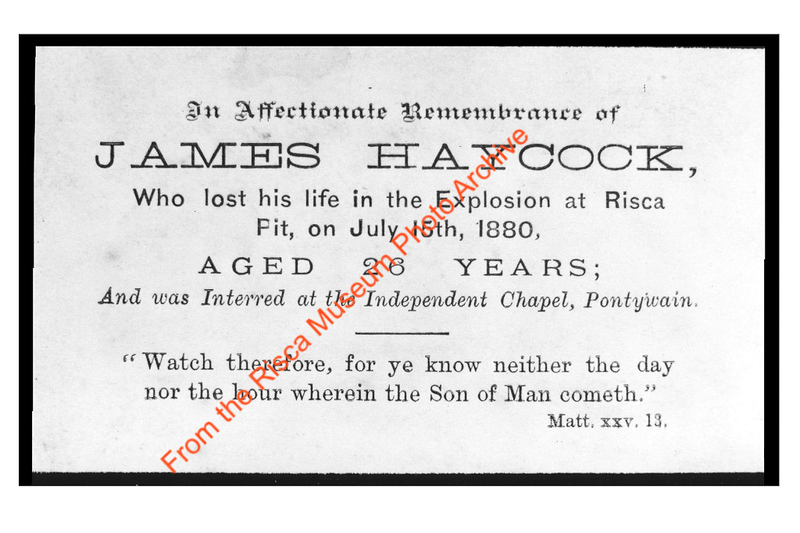 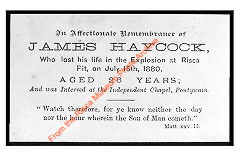 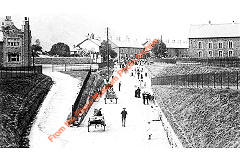 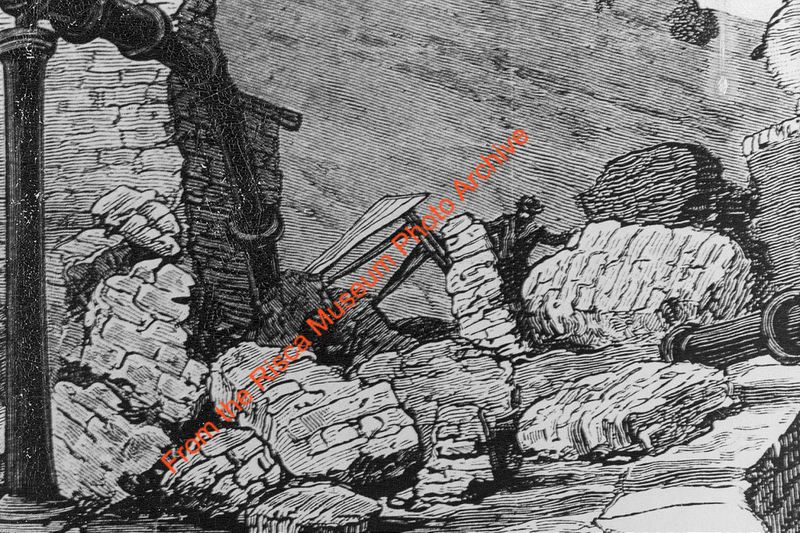 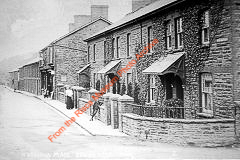 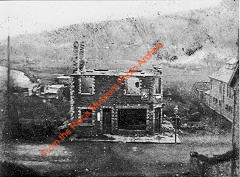 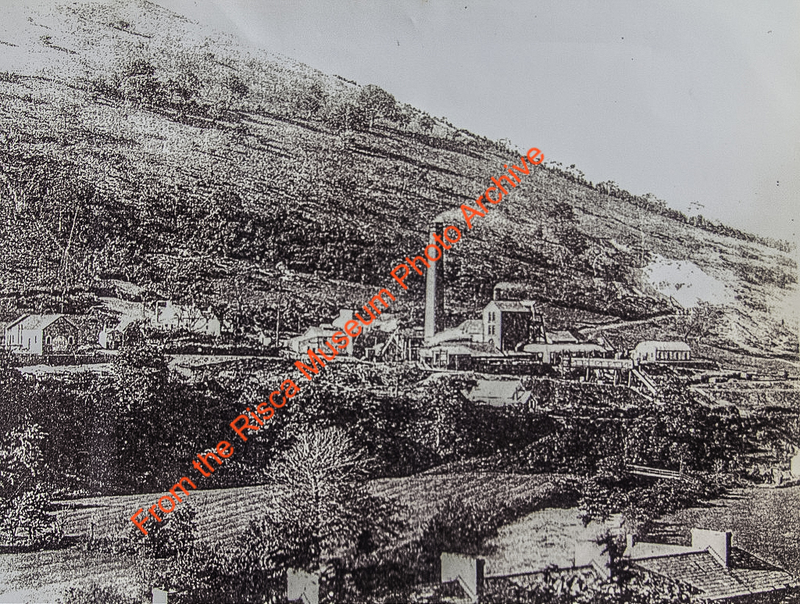 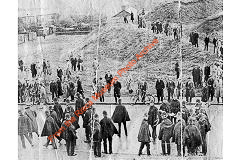 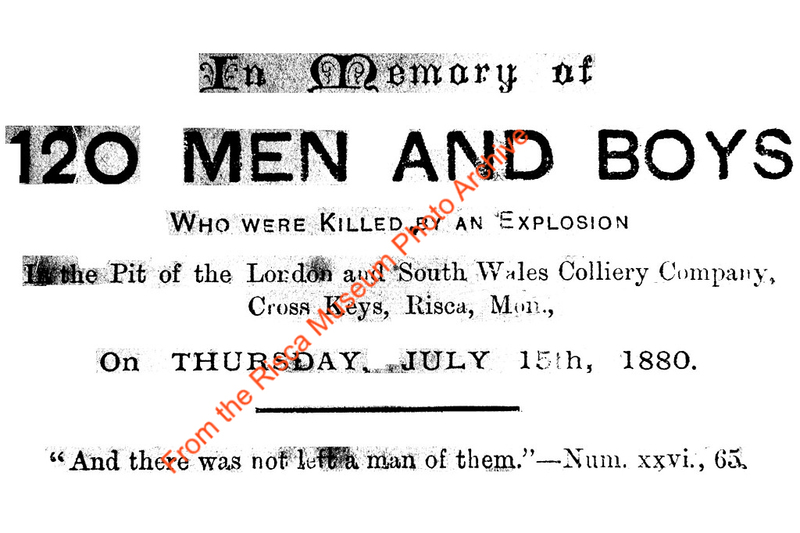 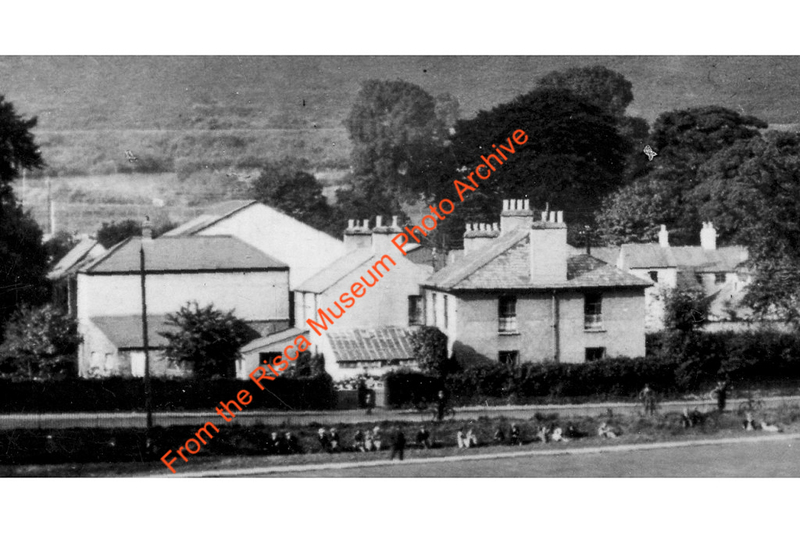 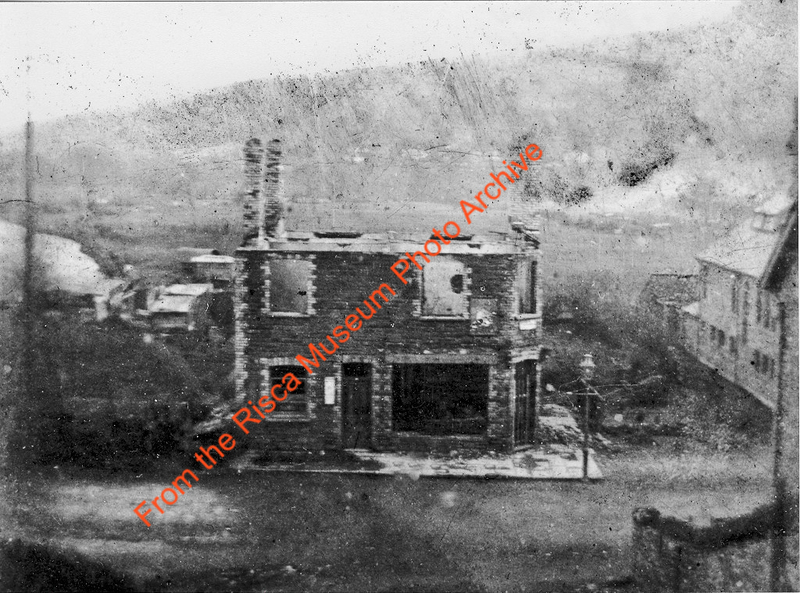 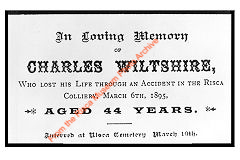 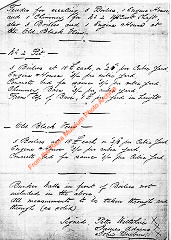 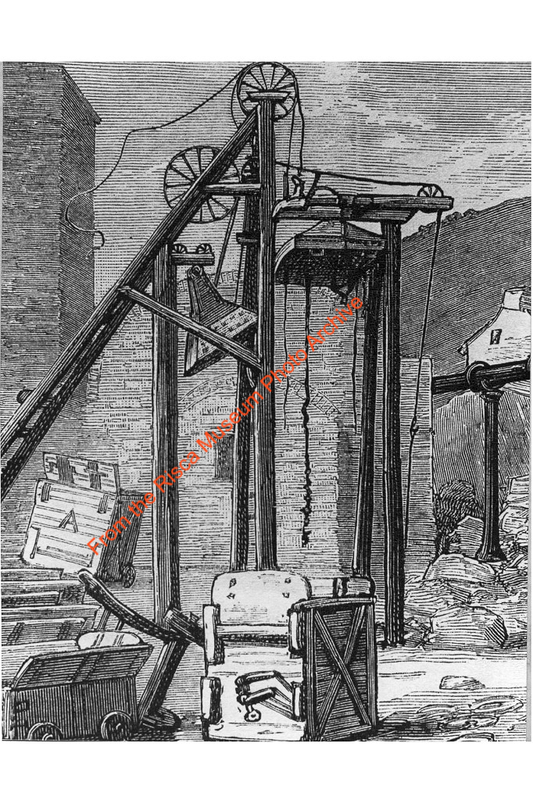 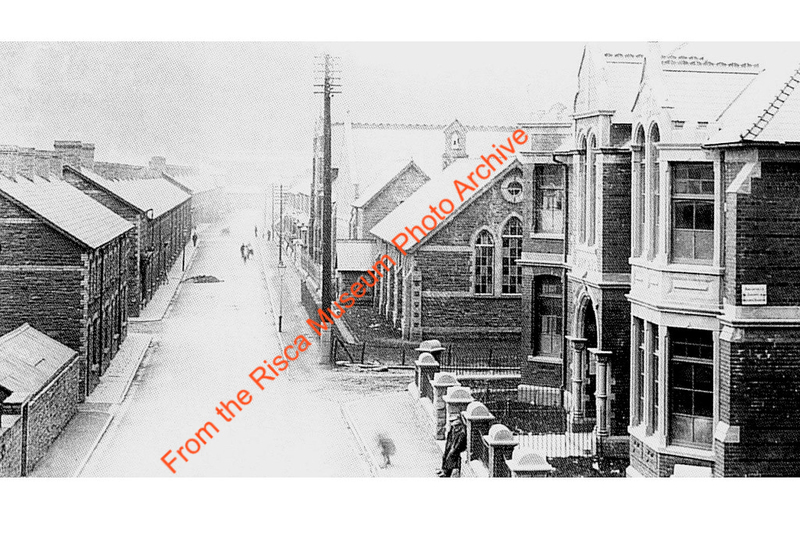 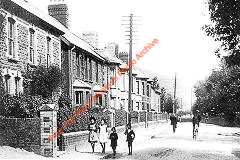 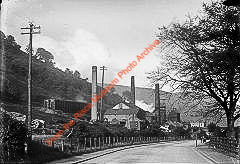 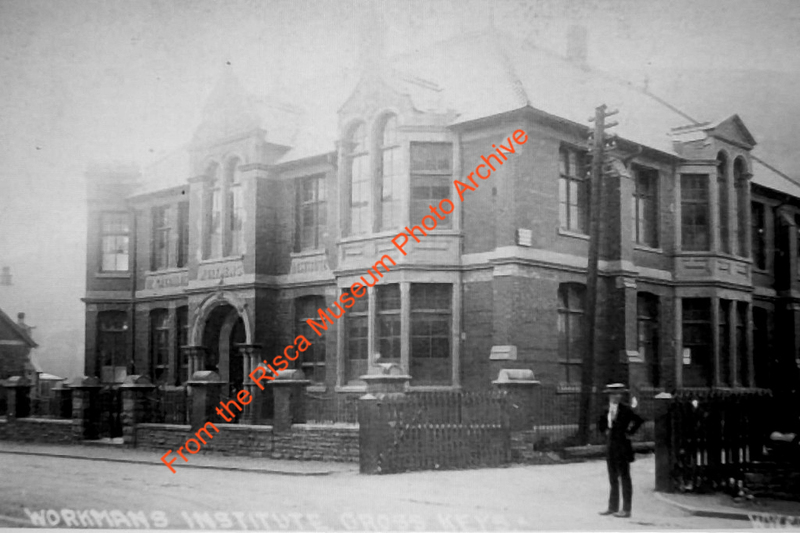 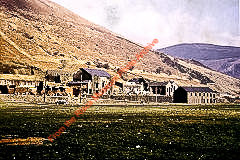 On Thursday 15th July 1880 a gas explosion ripped through North Risca Blackvein Colliery in tragic parallel to the disaster at the Old Blackvein Colliery twenty years earlier. 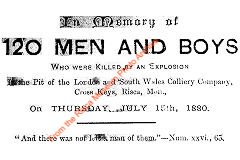 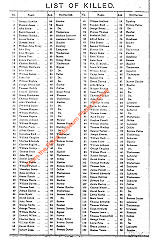 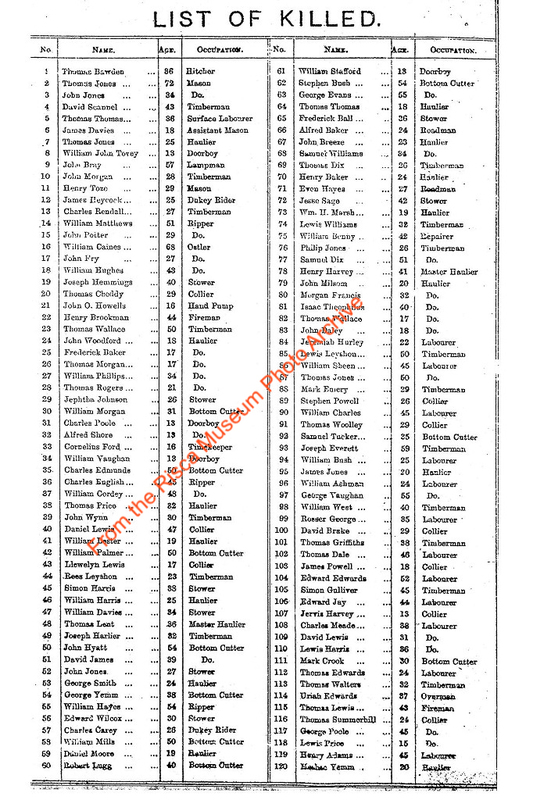 On this occasion 120 men and boys were killed. 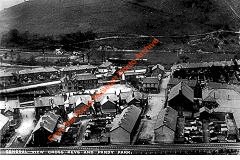 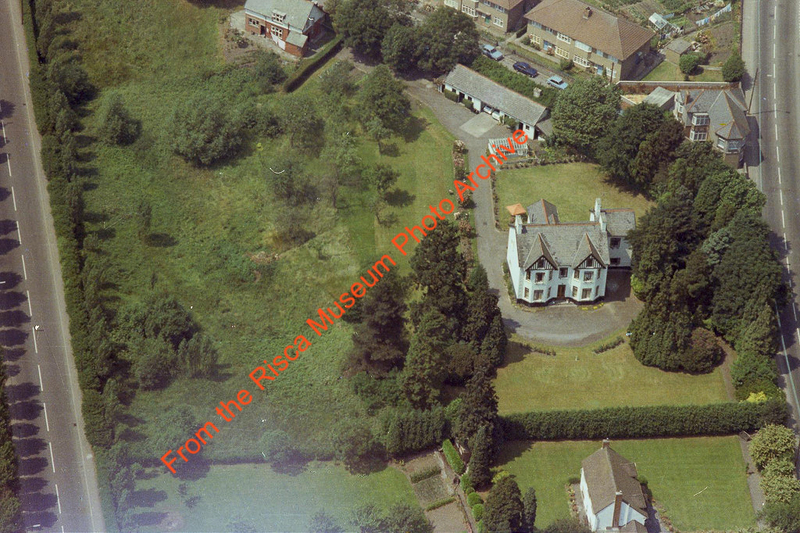 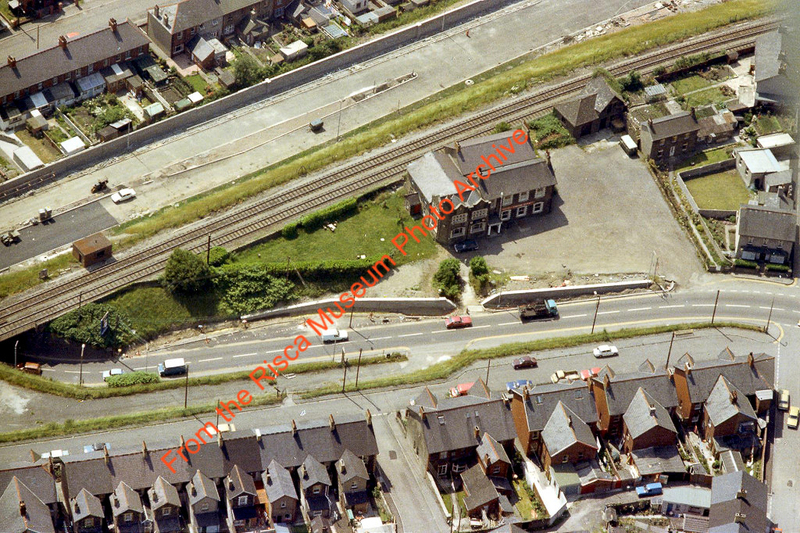 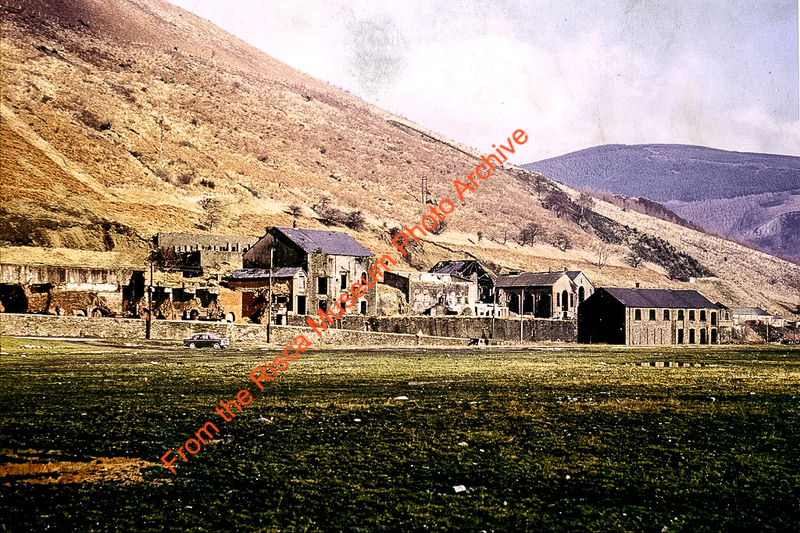 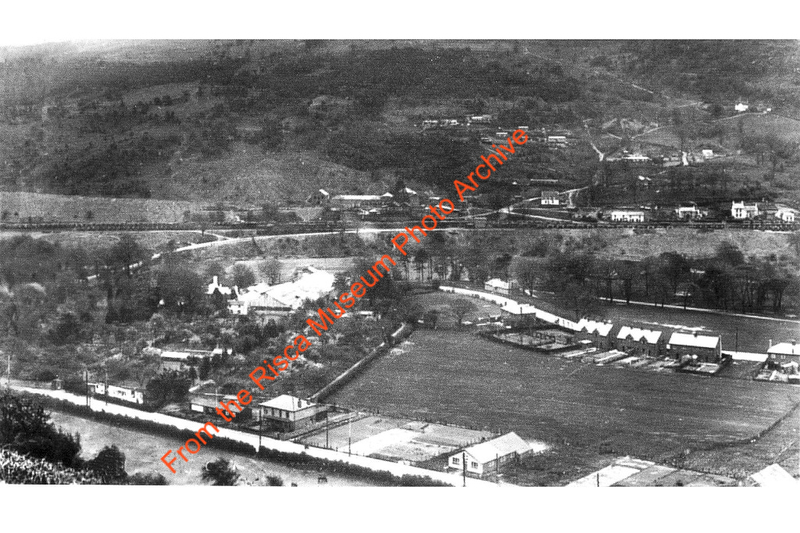 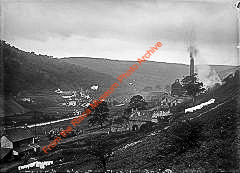 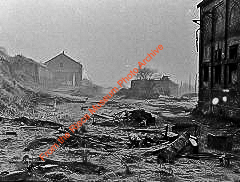 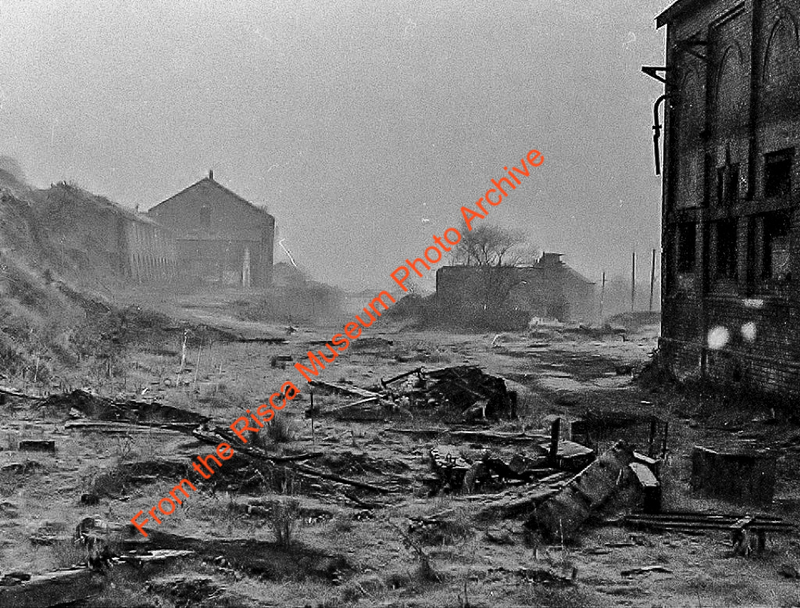 In these photos 'Ty Prince' farm is clearly visible to the West of the colliery and the Eastern quarry is at work. 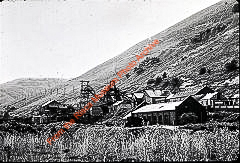 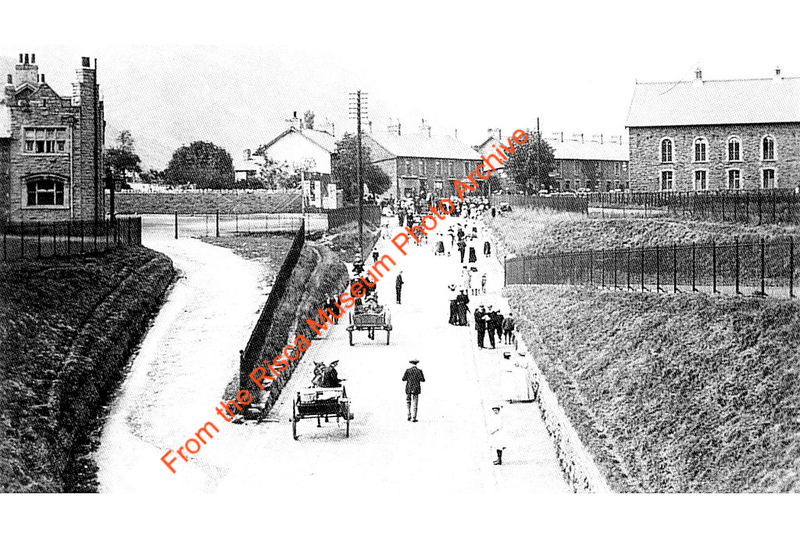 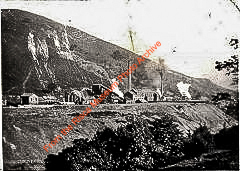 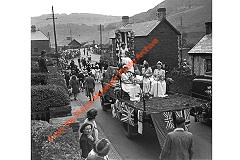 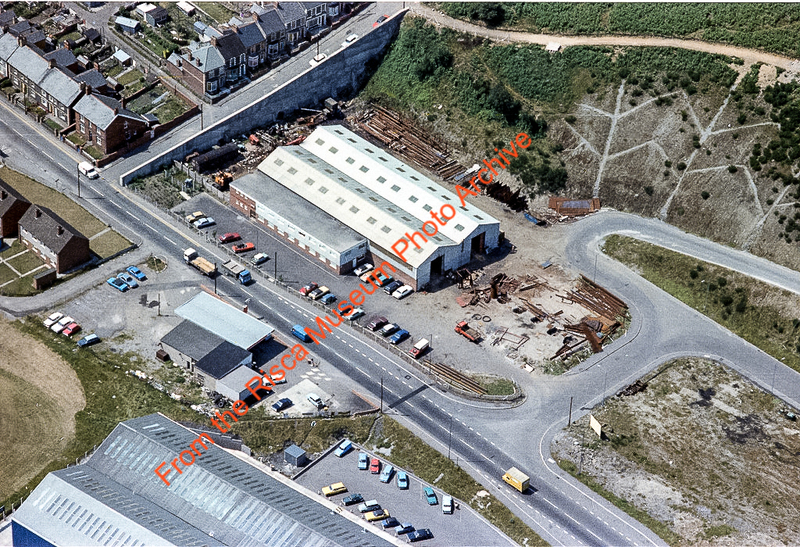 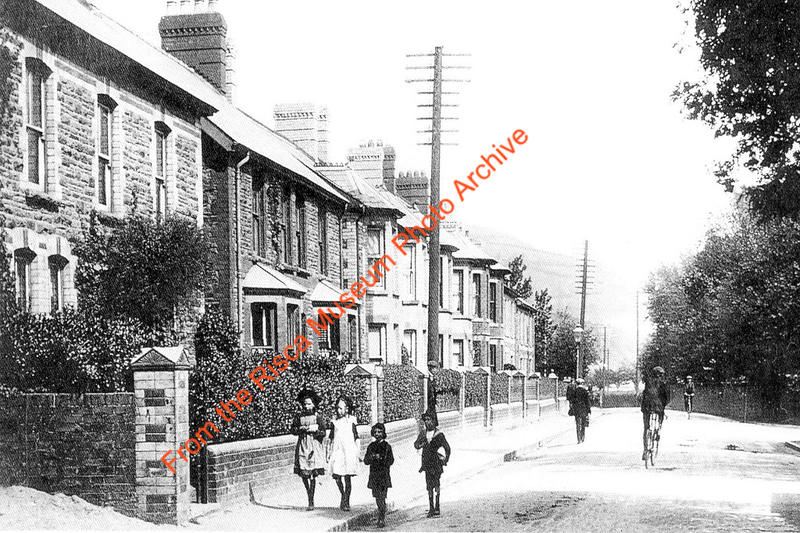 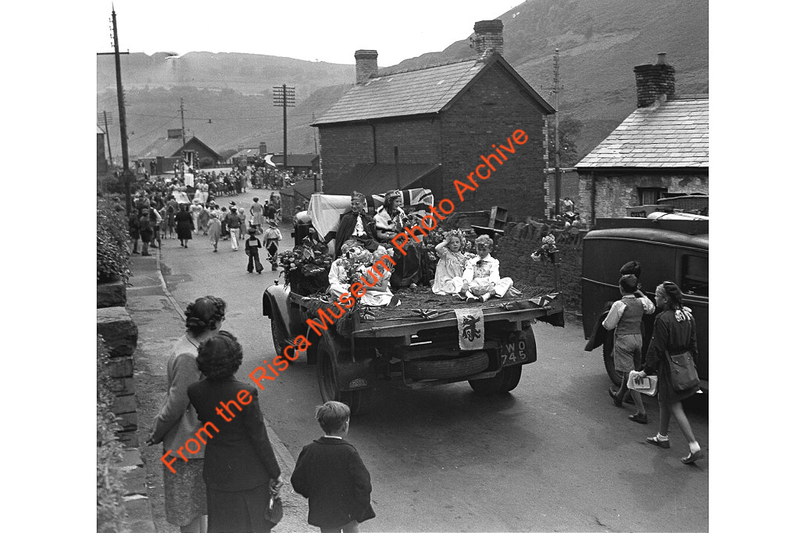 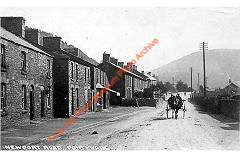 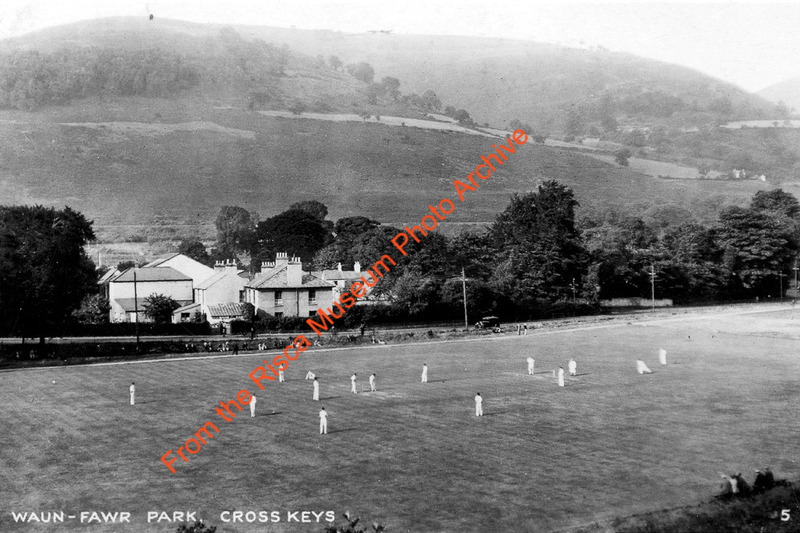 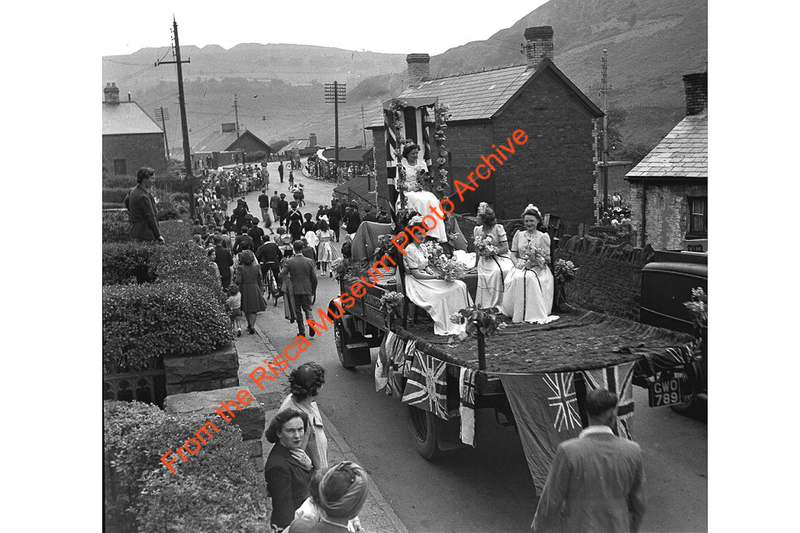 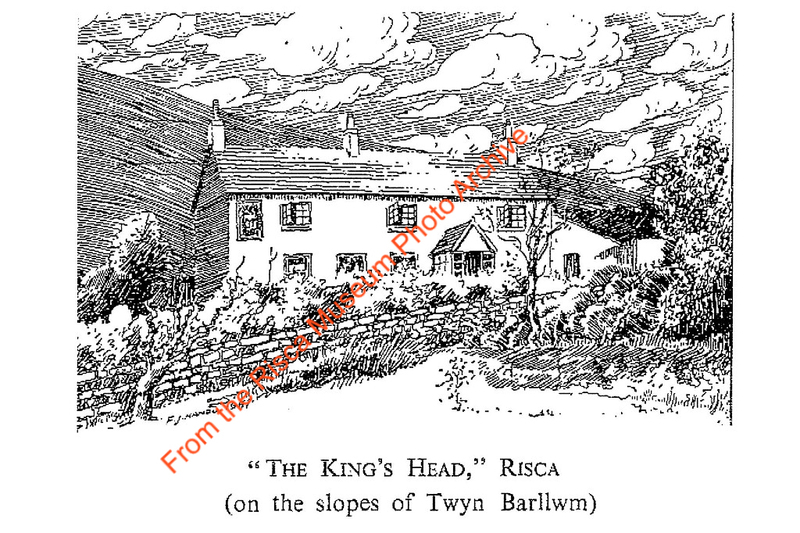 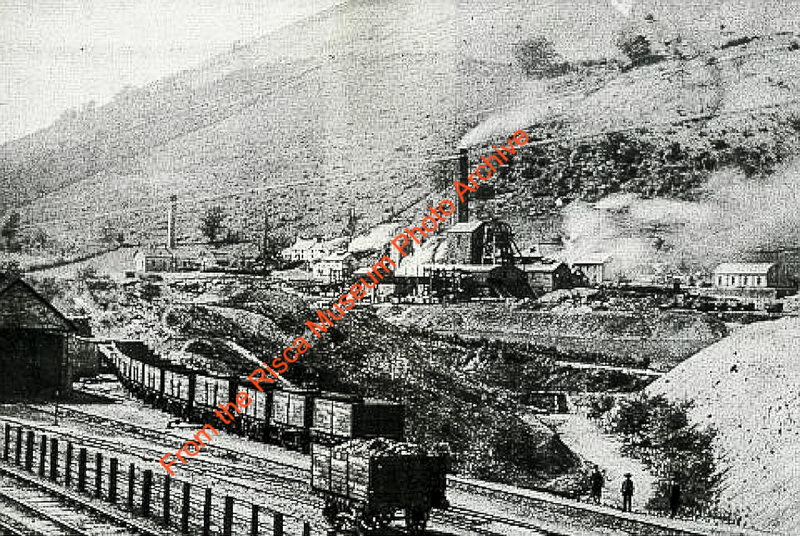 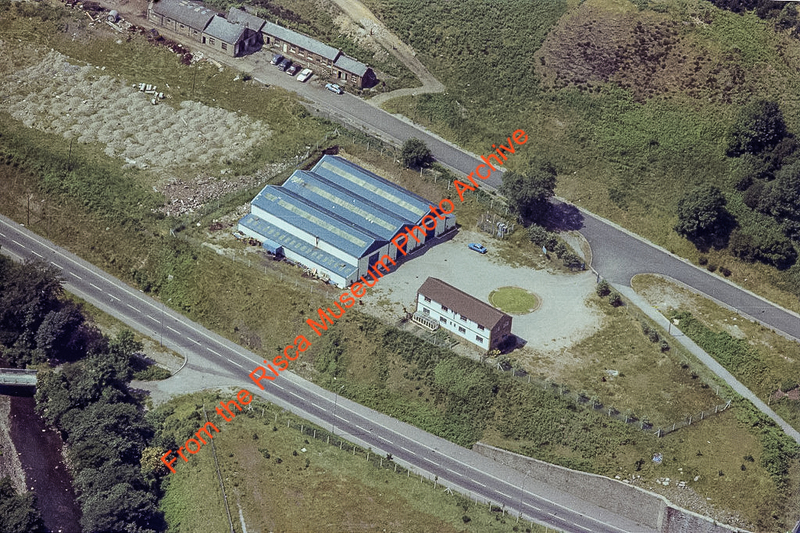 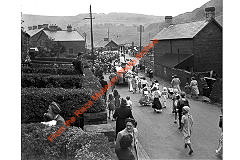 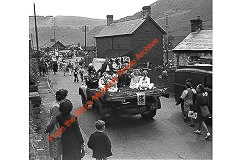 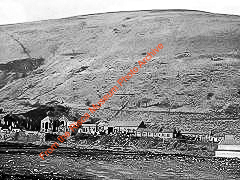 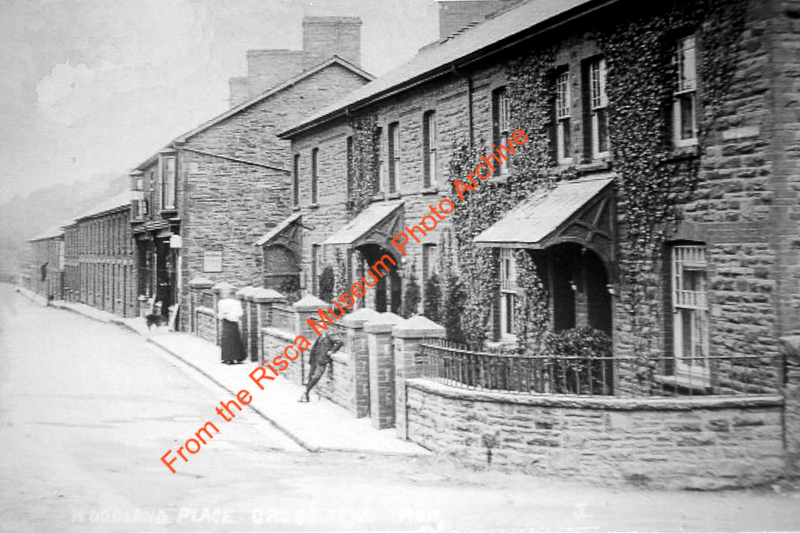 This quarry supplied stone for both the colliery and the village of North Risca (Crosskeys) down two inclines either side of Mount Pleasant or Craig-yr-haul farm. 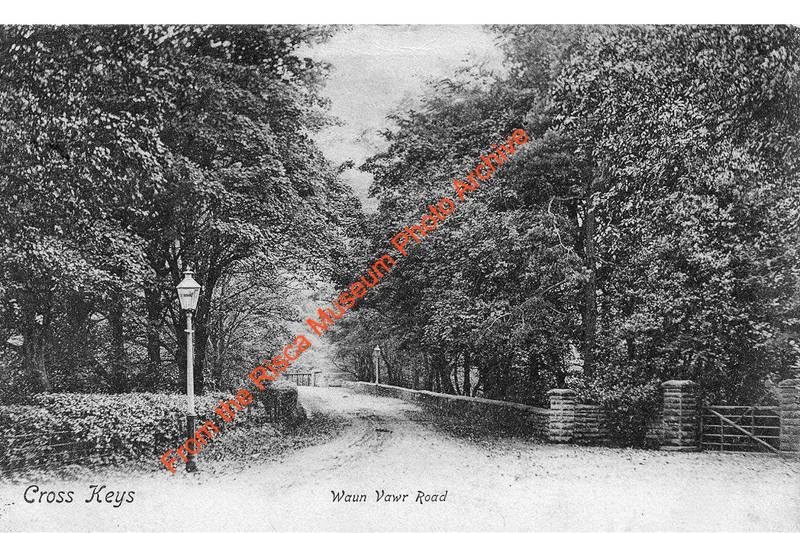 The last photo shows a third incline running towards what became the Western quarry. 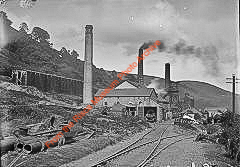 The Cornish engine house is prominent. 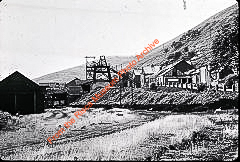 The colliery has expanded and 'Ty Prince' is hidden behind other buildings and the upcast shaft has low headgear. 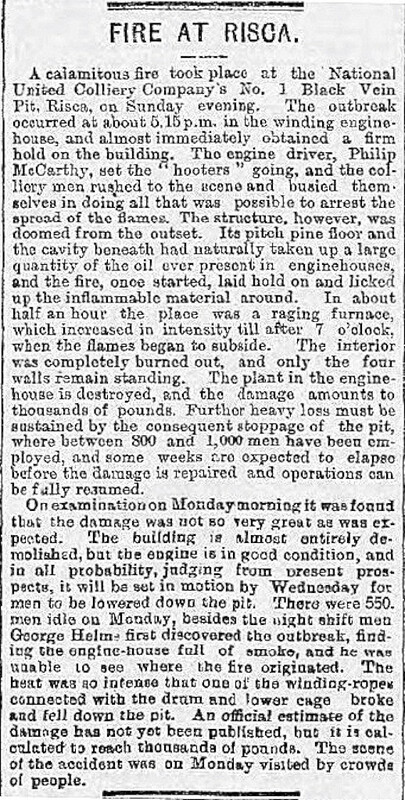 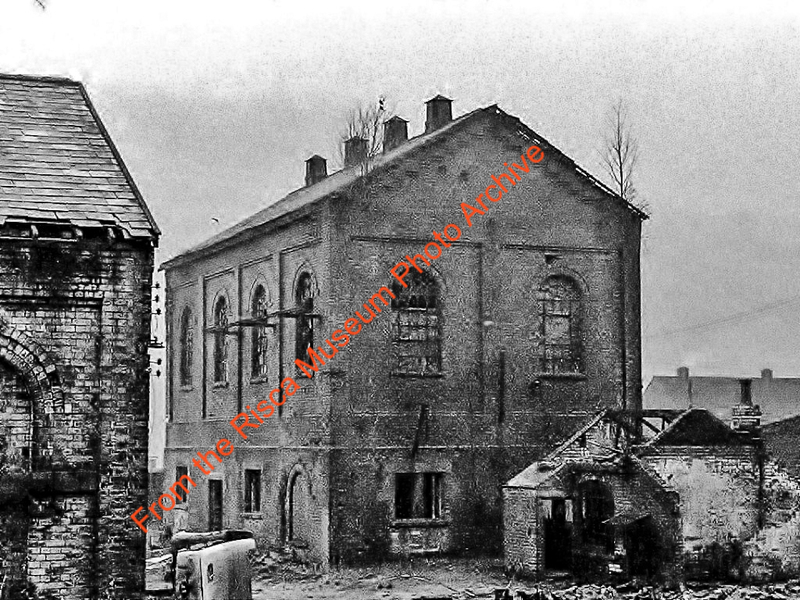 On 23 February 1901, a fire burnt down the winding house but the winding engine doesn't seem to have been badly damaged. 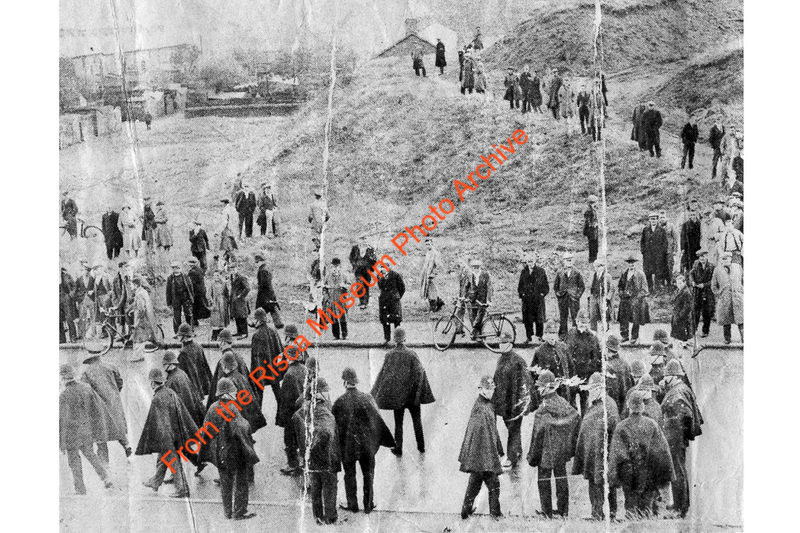 The photo of the crowd scene is believed to be from a 1912 strike. 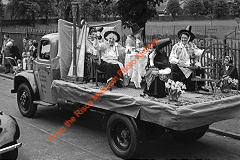 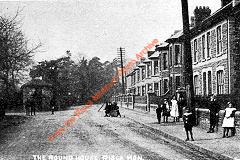 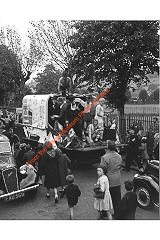 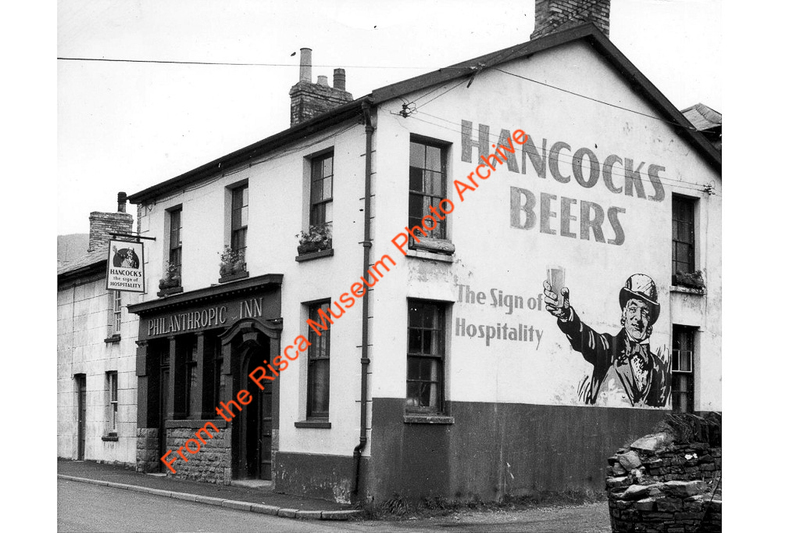 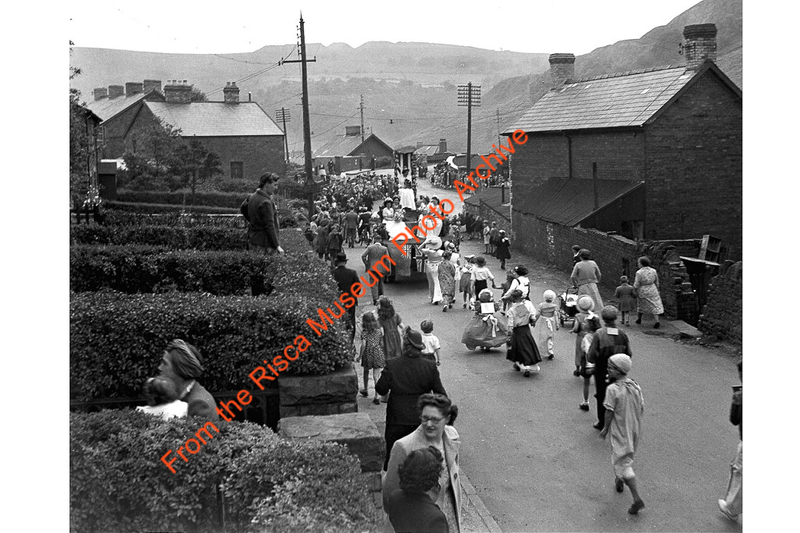 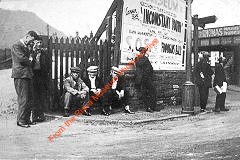 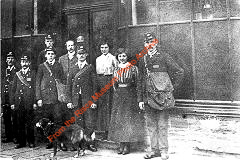 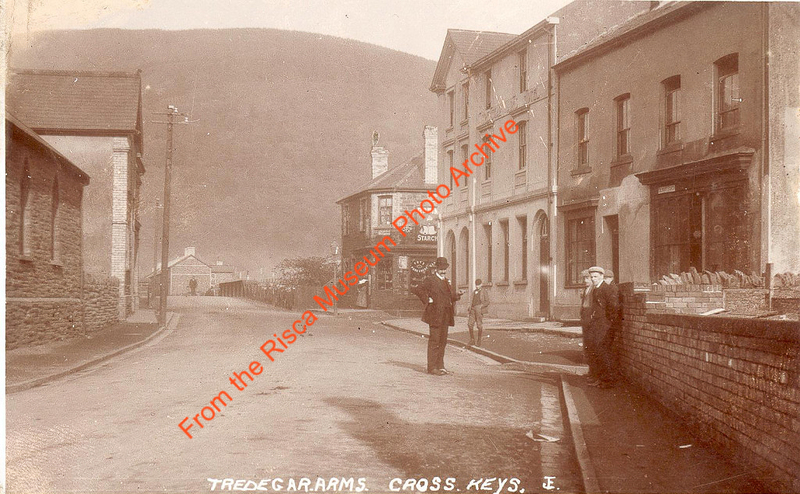 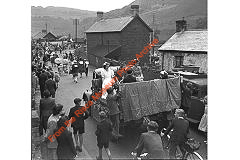 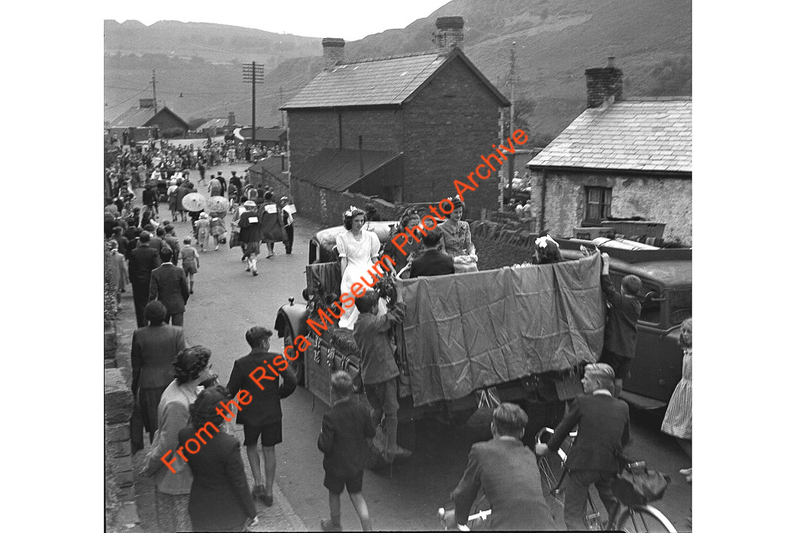 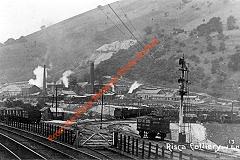 A similar photo shows the same bowler-hatted gentleman, a reporter perhaps, with a different group of men and is of Risca Blackvein Colliery. 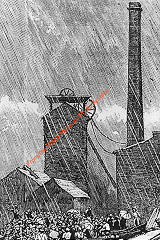 The colliery has reached Wattsville and is at its greatest extent. 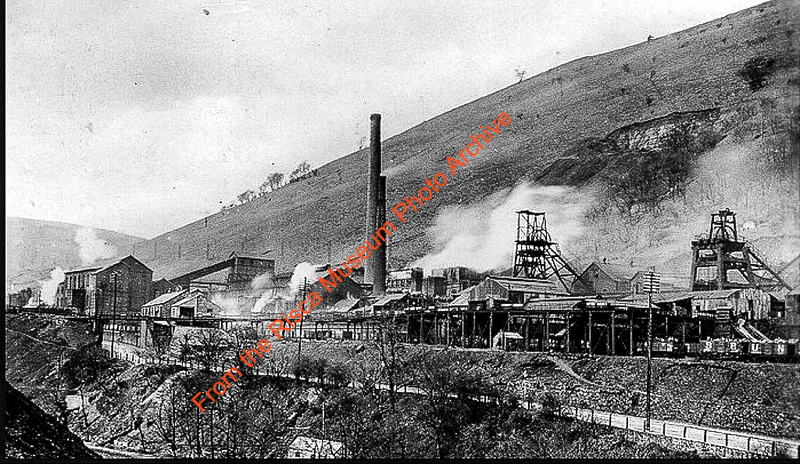 The coke ovens have been built and the upcast shaft has new, taller headgear. 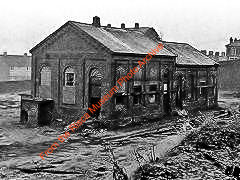 Later the roof of the Cornish engine house is removed, followed by the engine house itself. 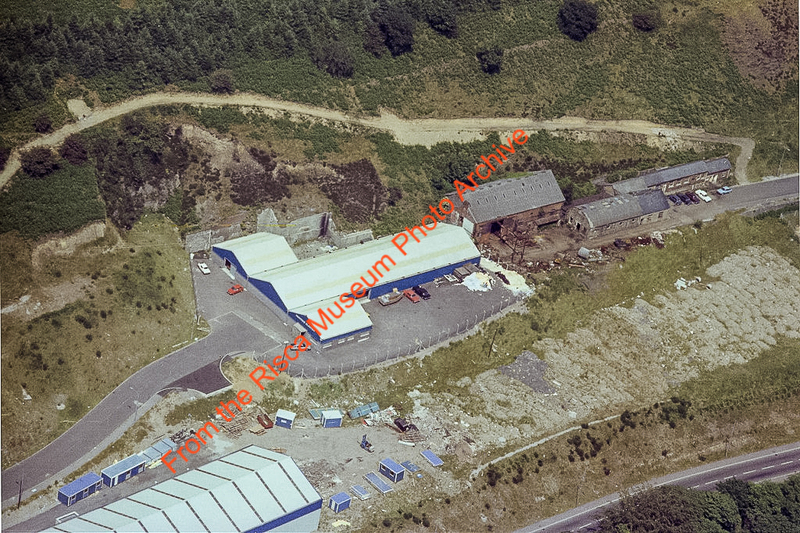 The two large square stone buildings we saw at the west end of the site up towards Wattsville. 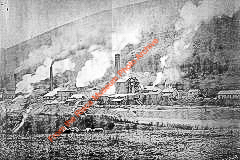 They were used in connection with bi-products from the coke ovens. One of them had internal walls tar lined and with lights from outside shining in. . 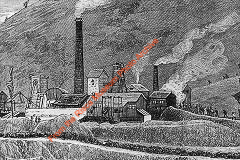 There were large carbides into which a colourless liquid dripped. 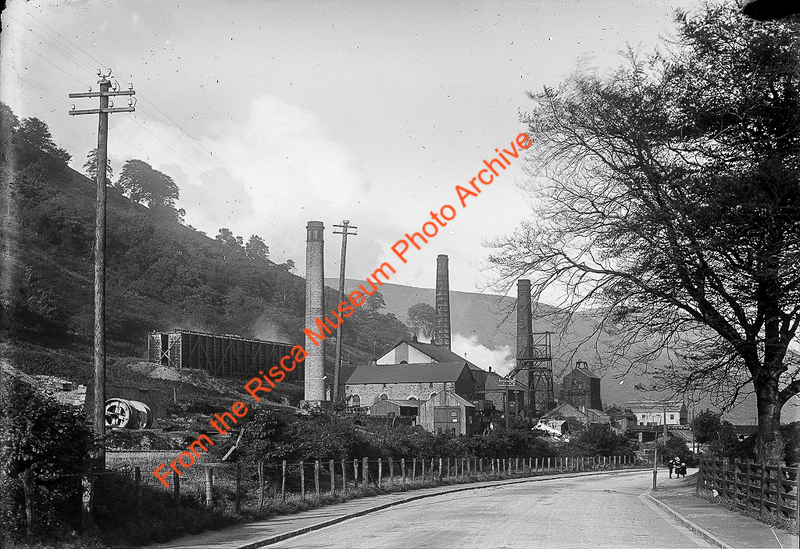 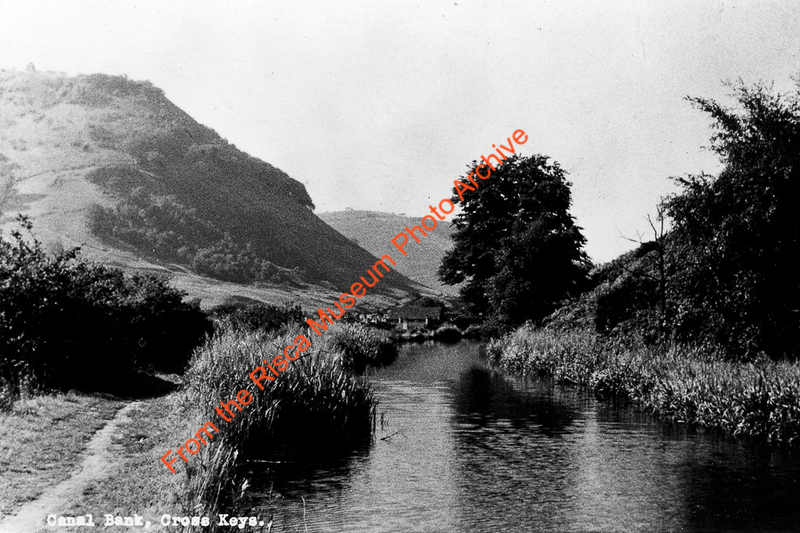 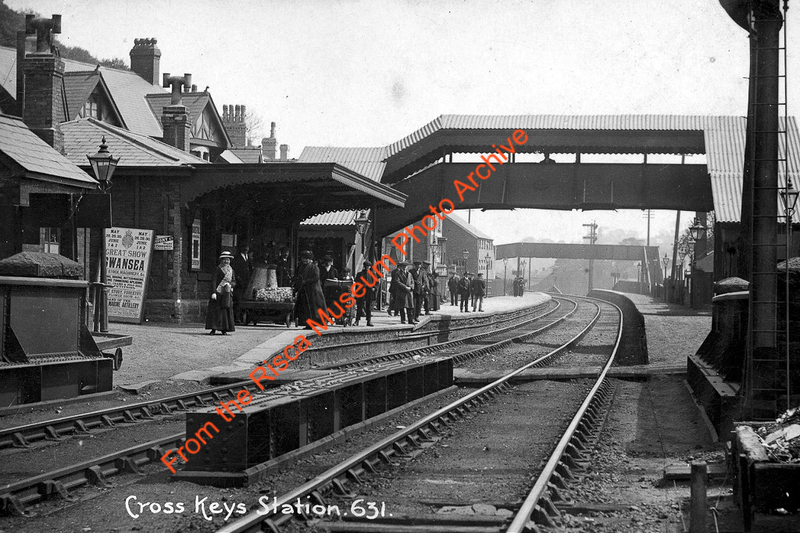 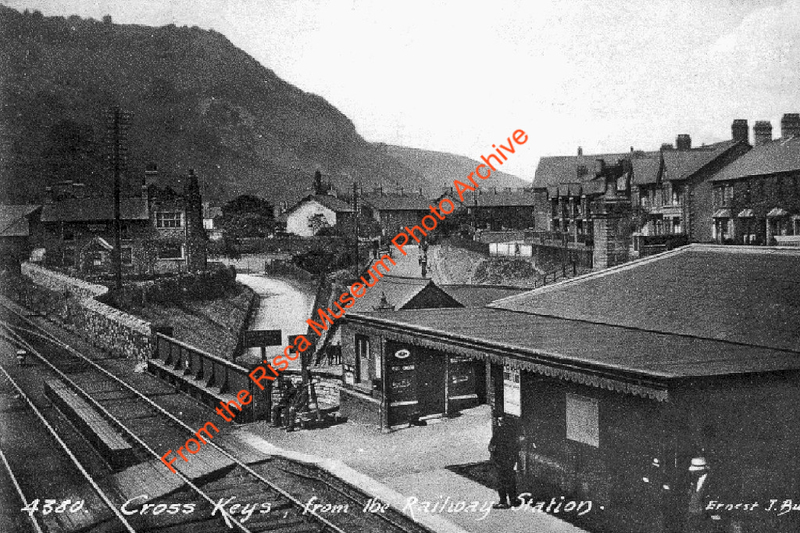 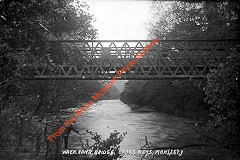 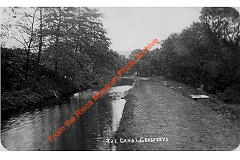 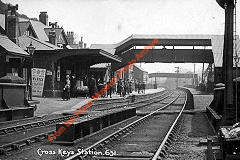 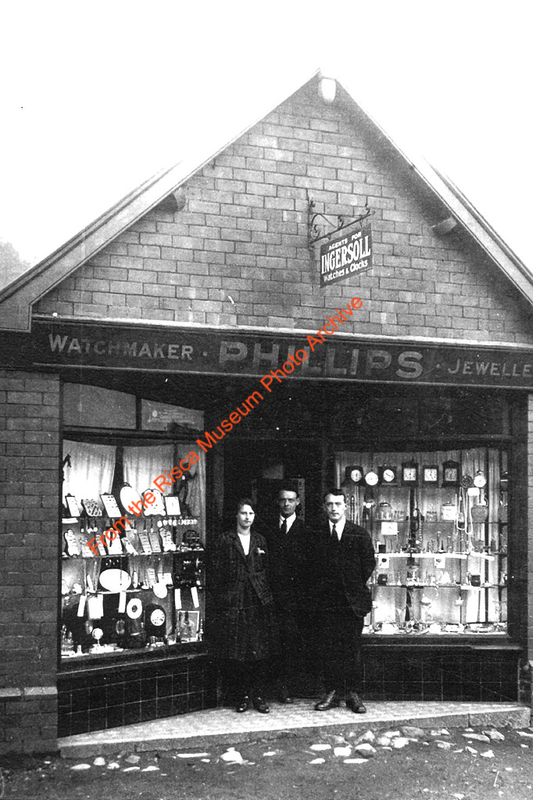 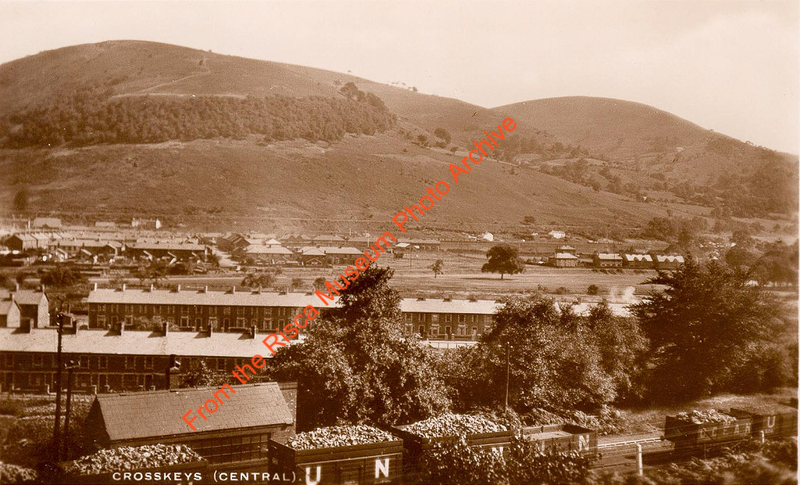 In 1926 the aerial ropeway was built following agreement with the GWR to cross the Sirhowy Valley line. 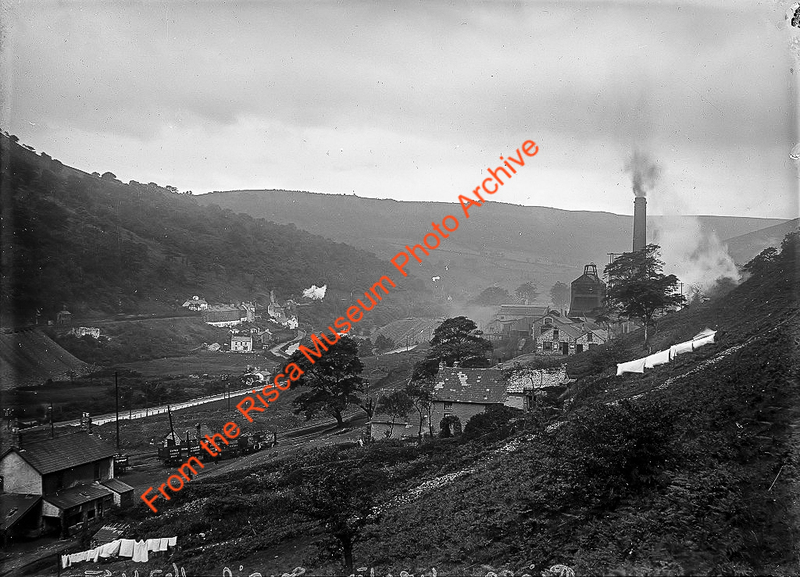 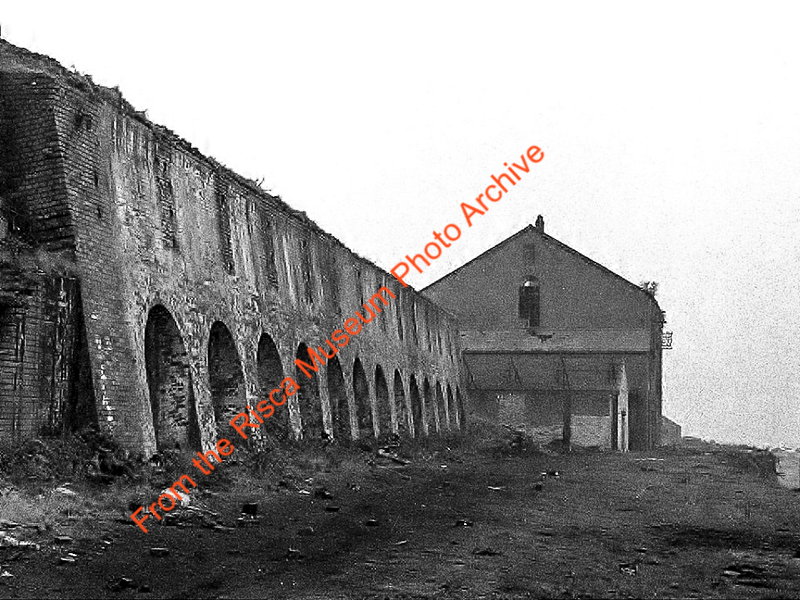 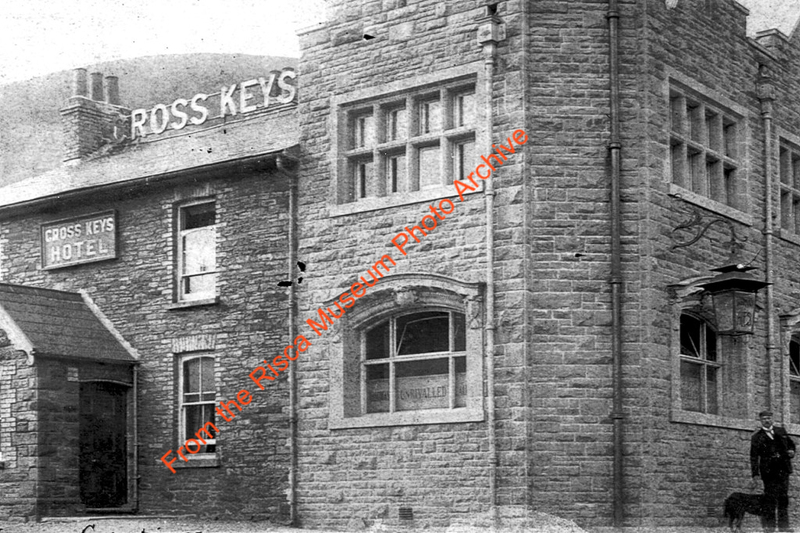 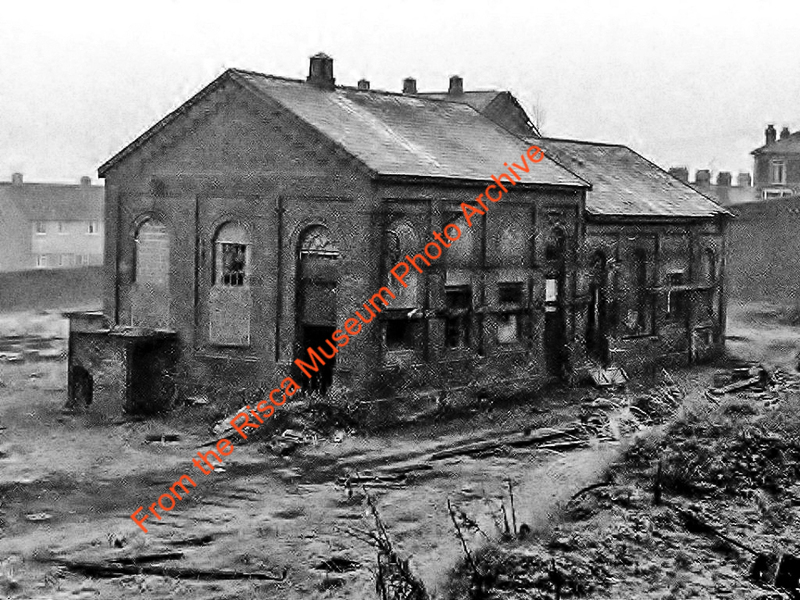 The two winding house chimneys have been demolished but a new conveyor and tower have been built by the coke ovens. 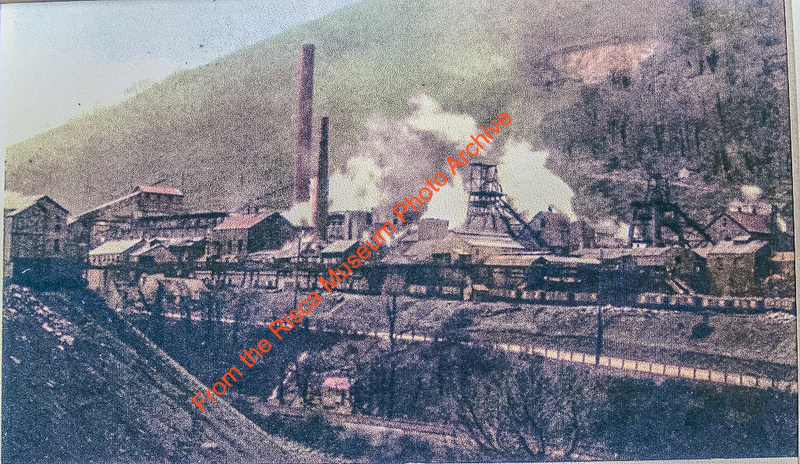 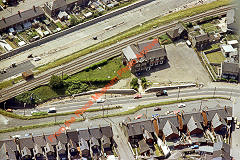 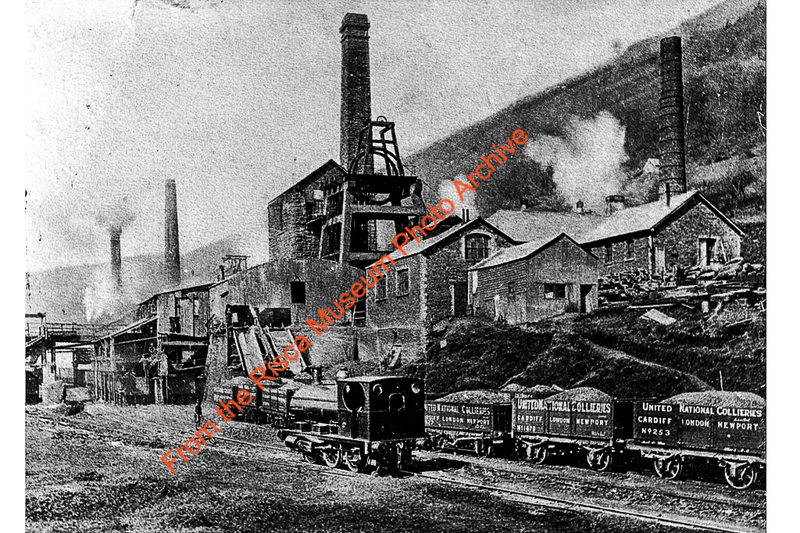 In latter years, railway wagons were also repaired in one of the sheds at the top of the stiff incline up through the mine site towards the coke battery end. It looks as if the colliery has now closed and is getting increasing derelict. 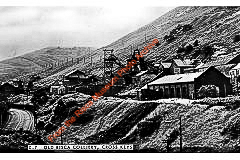 Some of the colliery buildings are still used by light industry and commercial companies.